All of us waiting for the panel to begin! 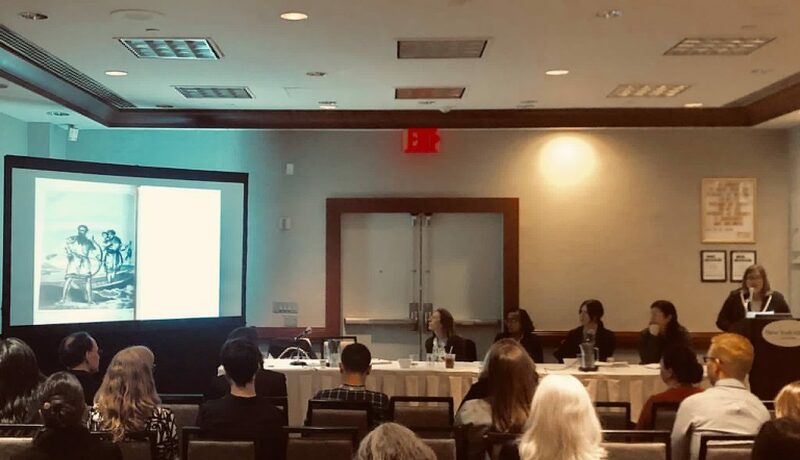 I presented a paper this year on a panel titled Coloring Print: Reproducing Race through Material, Process, and Language sponsored by the Association of Print Scholars. Our panel was chaired by Christina Michelon, who did an amazing job. The panel featured papers by Annika Johnson, Melanee Howard, Holly Shaffer, and myself. Some of the themes that stood out to me across the whole panel were: preservation/salvage, fragmentation, print circulation’s role in shaping memory (during life and after death), repetition in reproduction, romantic ideals, systems of print and circulation, genealogies of images, the construction of story/myth, and the role of imagination. 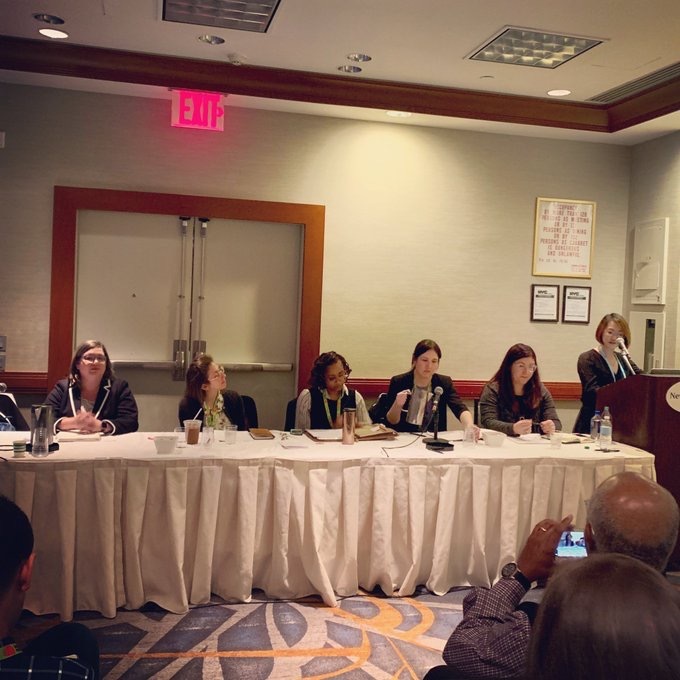 In addition, I can’t help but smile inside at this photograph of us all —5 female scholars—getting ready to talk about topics crucial to our research. I find it fairly rare in my sub field (usually, my co-presenters are male), so I couldn’t help but take notice of the image. I also attended some really great Japan-related panels during the conference including Race and Modern and Contemporary Japanese Visual Culture (sponsored by JAHF with presentations by Sabine Fruhstuck, Chinghsin Wu, Ayelet Zohar, and Jennifer Robertson); Dirt, Mud, Sand, Sludge (that had a presentation by my dissertation advisor, Bert Winther-Tamaki), and Asian Diasporic Art and the Narrative of Modernism (sponsored by Diasporic Asian Art Network with papers by Tom Wolf, Margo L. Machida, and SooJin Lee). 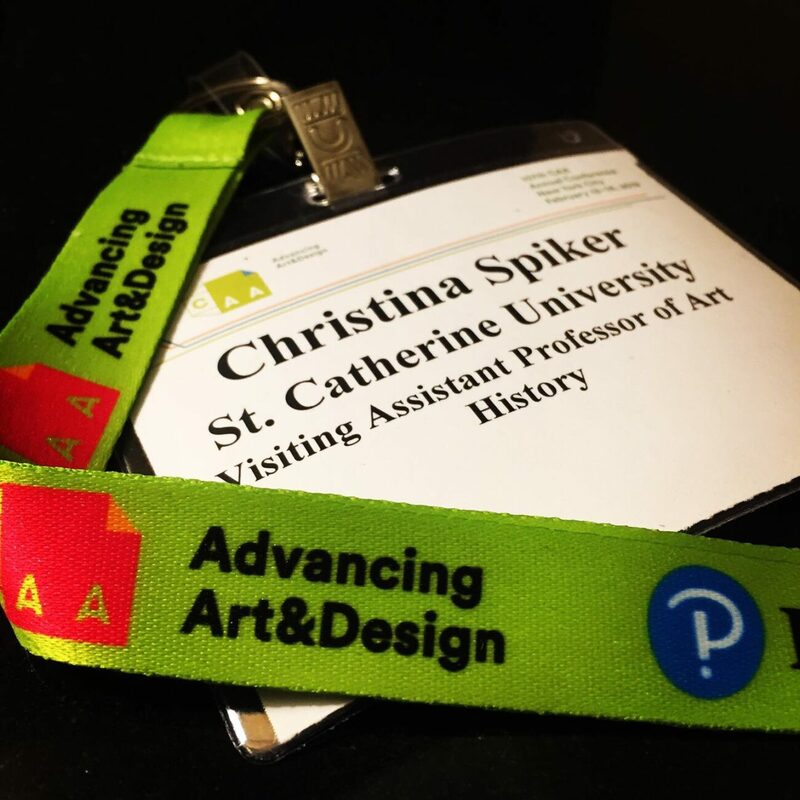 I also got a chance to attend some panels related to #digitalhumanities and #digitalarthistory. Attending conferences is a humbling reminder of how much I have yet to learn. But it was great to see old friends and connect with new ones! Now that CAA 2019 is over, I need to turn my full energy towards this exhibition that I am curating set to open on April 13th. I’m not sure how I will do what needs to be done between now and then, but I’m excited to see the whole project come together. 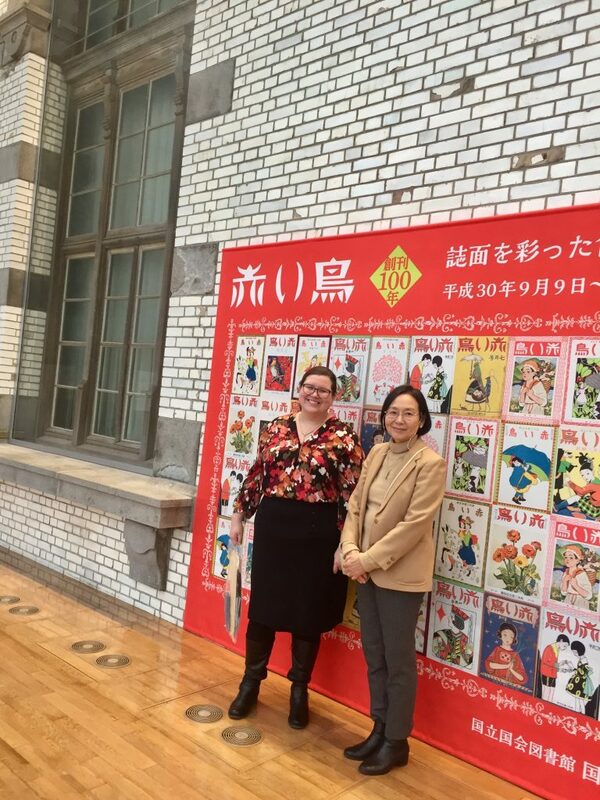 I am incredibly thankful for having been invited to give a paper by Mayako Murai at Kanagawa University’s symposium “ちりめん本と女性の文化” (Chirimen-bon and Girl’s Culture), which celebrated the opening of an exhibition of Japanese crepe-paper books in their library. 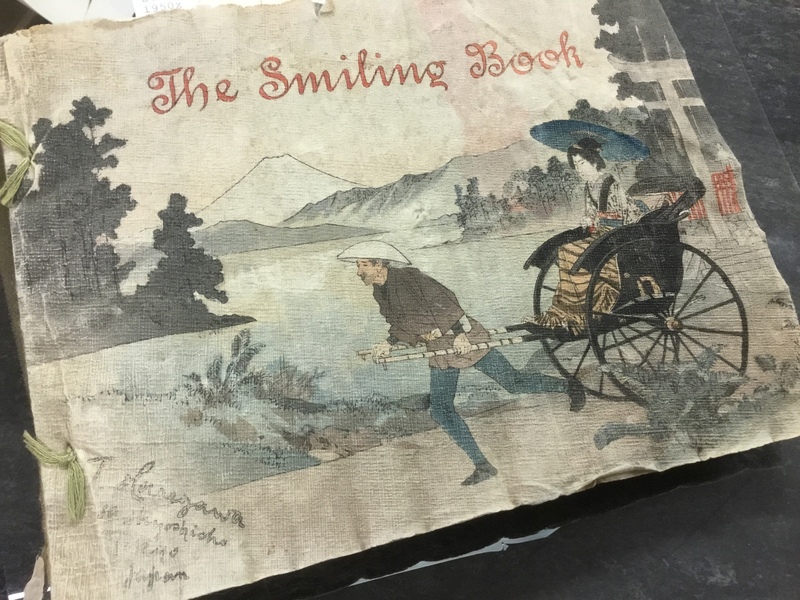 The trip was a whirlwind (I stayed for 5 nights in Yokohama because of my teaching duties here), but I’m grateful for the chance to travel and meet new colleagues who are interested in these quaint, but fascinating works of material culture. 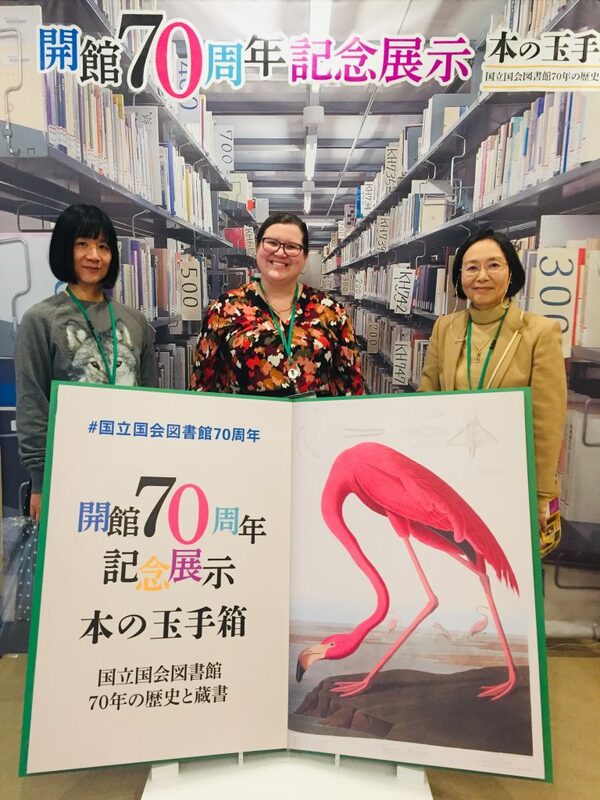 I was also introduced to Nanae Otsuka, a librarian who is retired from the National Diet Library, who was an amazing guide and a fast friend. Me and Otsuka-san at the National Children’s Library in Ueno. On my first full day in Yokohama, I took the train into Tokyo to meet up with Murai and Otsuka. Together we explored the National Diet Library on a tour with Librarian Yokota Shihoko, who was truly knowledgable about the resources and the space. 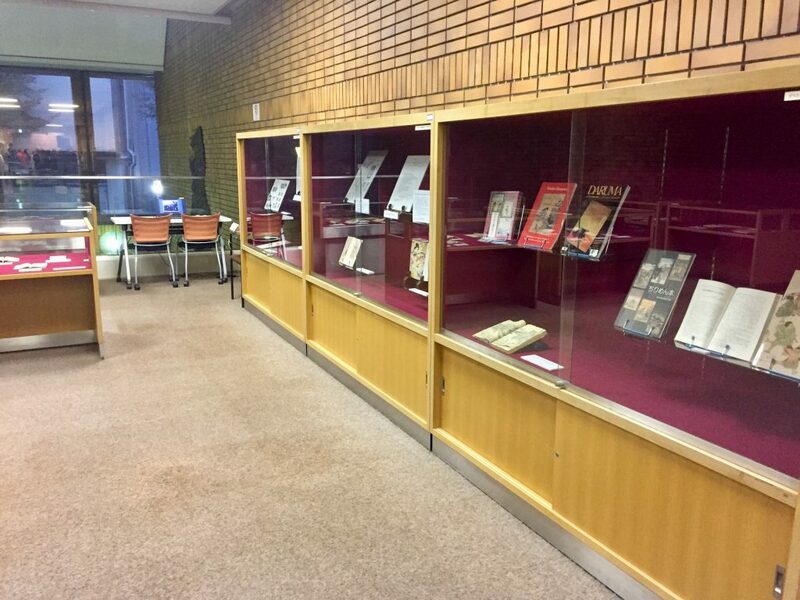 It was fortuitous timing, because the library was hosting a memorial exhibition featuring some of their rare printed works! I was shocked at the architecture of the building, which was a particular issue during the 2011 earthquake. 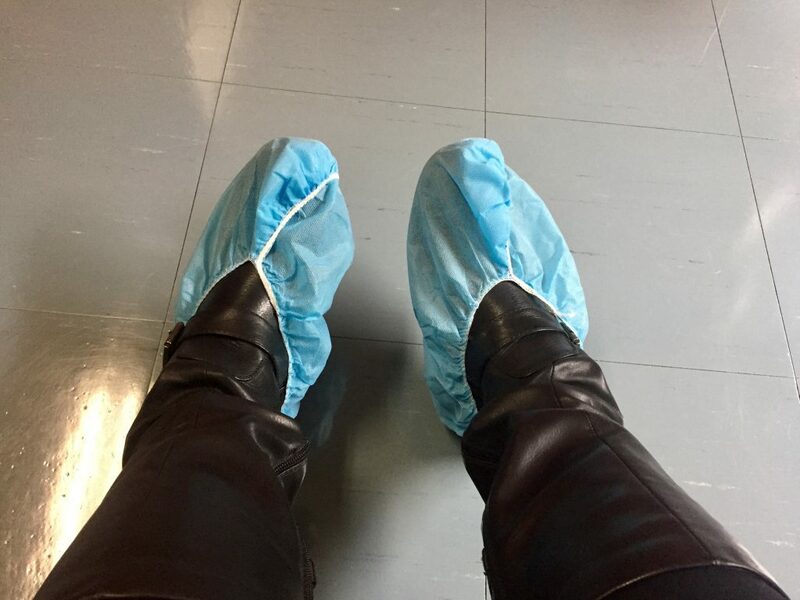 When we entered the space, we all wore “booties” on our feet to protect the surfaces. It was great to see how their institution processed material, and I was even shocked to learn about the amount of manga they had on their shelves — a true resource for any scholar of popular culture! When Murai left, Otsuka and I ate some delicious eel before making our way to the National Children’s Library in Ueno. It was my first time there, and the building was fascinating. 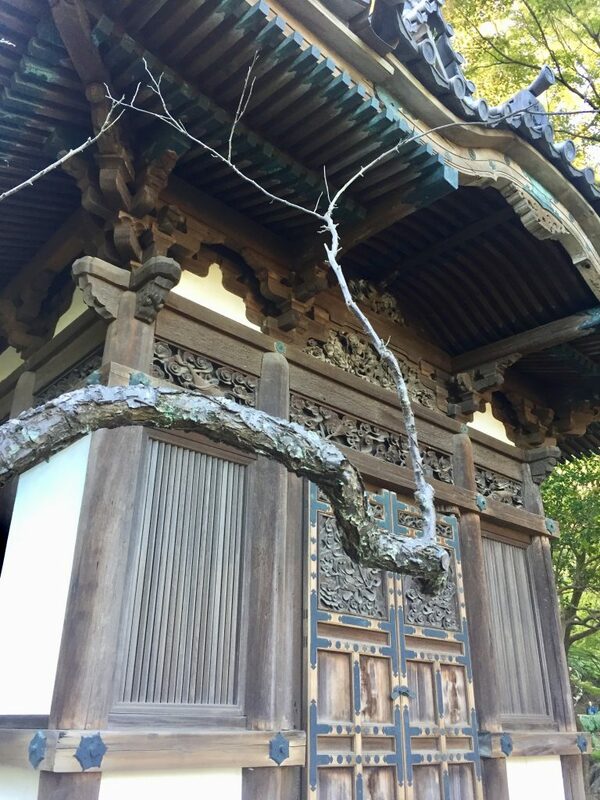 In a nutshell, it was constructed in two halves and you could see the Meiji architecture coexisting with later Showa and Heisei additions. Later, we wandered the streets to find a paper shop that created their own chirimen (crepe paper) and to a historic tofu restaurant that I will not soon forget. I owe Otsuka many thanks. Wandering around with her was a great way to orient myself back in Tokyo — it has been some time, since I avoided it on my last venture to Japan. On the day of the exhibition, I met up with Otsuka and we made our way over to Kanagawa University. She gave attendees a personalized tour of the space. Not only was I able to see various examples of chirimen-bon in person, but I was also able to learn more about the process and meet others interested in the books, from scholars to collectors. My own presentation dealt with the connoisseurship of these books by Western women who were friends with publisher Hasegawa Takejiro. I also discussed Minnesota artist, Evelyn Goodrow Mitsch, whose family donated her copy of The Smiling Book to St. Catherine University. It was a rare chance for me to see our book in conversation with works existing in Japan, and listening to Otsuka’s paper made me realize that there are new avenues that I need to pursue as I continue this work. I had very little downtime during the trip, but I did find a day to visit the garden at Sankeien. The site is interesting because many historical buildings from other places have been relocated here. 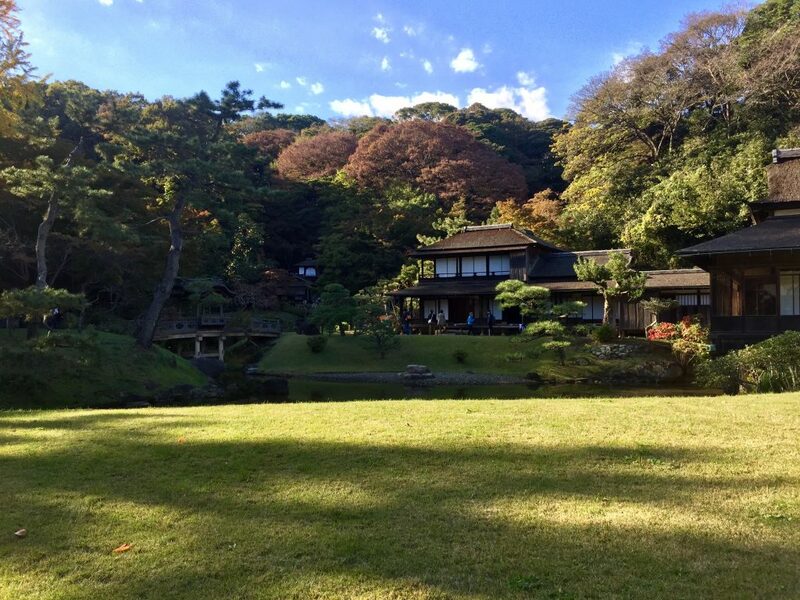 But it was peaceful to walk around on a beautiful autumn day. It was amazing to me that the leaves had not yet changed in November. They happened to be having a flower show on the day I was there. I also explored Yokohama’s Chinatown with Otsuka and even went on a ferry ride with her around Yokohama Bay. The trip was quick, but certainly memorable. I am excited and even more energized to keep moving along this path. 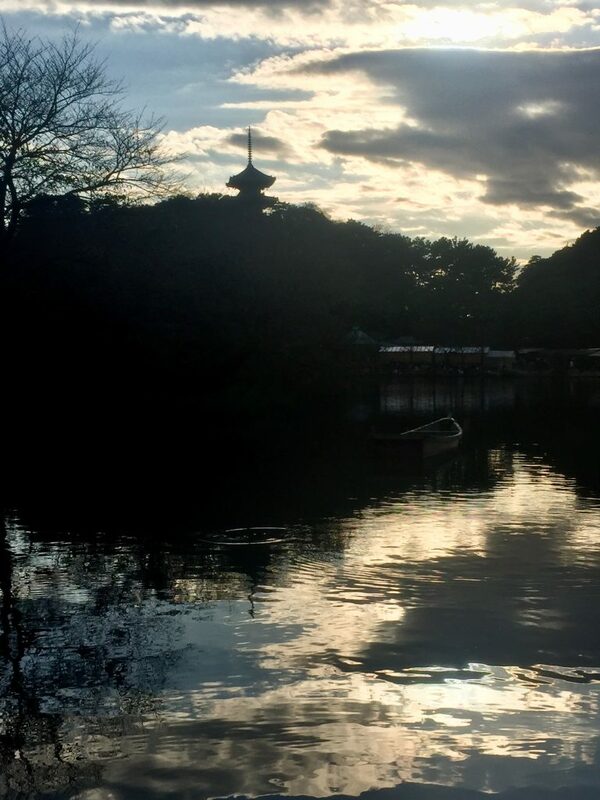 Many thanks to all of the amazing people I met on my trip (especially Murai, Otsuka, and Yokota). This paper pursues Said’s original line of thinking in massively multiplayer online role-playing games within the fantasy genre. When immersing one’s self in an MMORPG, the city and the backdrop forms a kind of “stage.” Reading Said literally in this sense, I will analyze the construction of these theatrical spaces with an approach that combines architectural analysis from the field of art history with the study of race representation in game studies. I will offer a different analysis of race representation that transcends the roles of in-game characters. 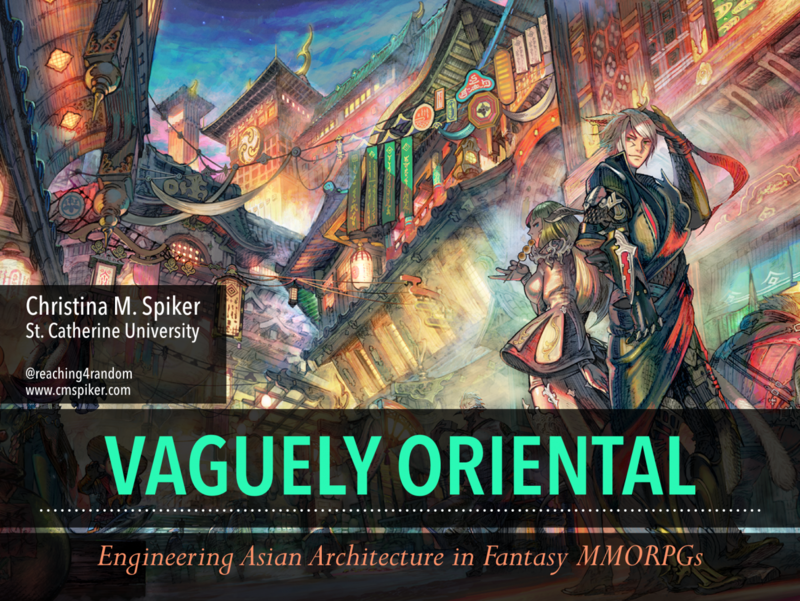 The visual settings of MMORPGs like Ragnarok Online, The World of Warcraft, and Final Fantasy XIV: Stormblood challenge us by creating specific locales that are read by the player as “Asian” or “vaguely Oriental” within story narratives that harken back to fantasy worlds based in the Western tradition. I want to envision the stakes as well as the creative possibilities enabled by such design. 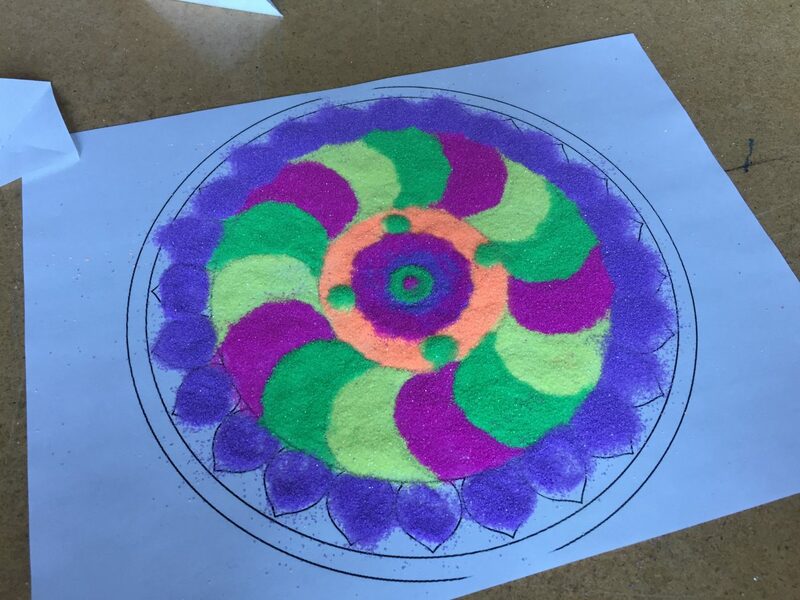 We are moving on to Vajrayana Buddhism in Buddhist Art & Architecture and we created individual sand mandalas to commemorate the occasion. 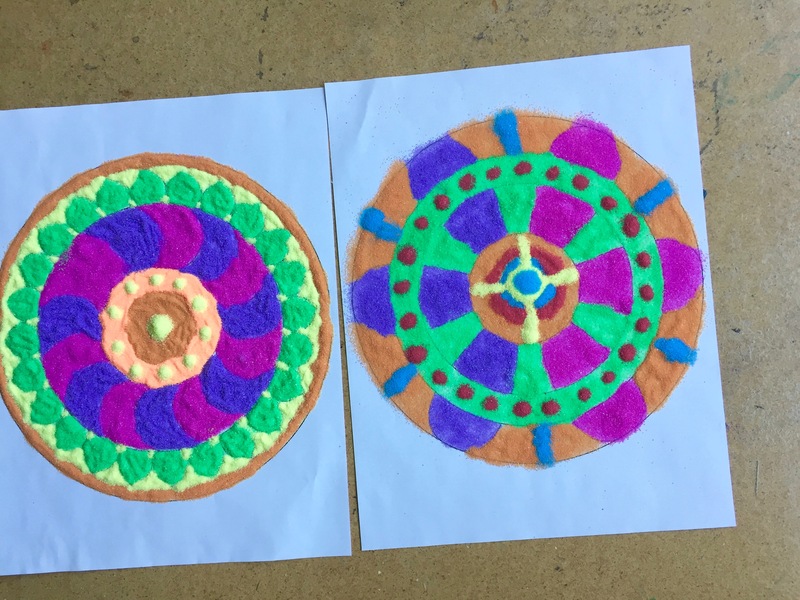 The goal was to not only understand what a mandala is, but how they can embody the idea of visualization, meditation, and impermanence in a Tibetan context. 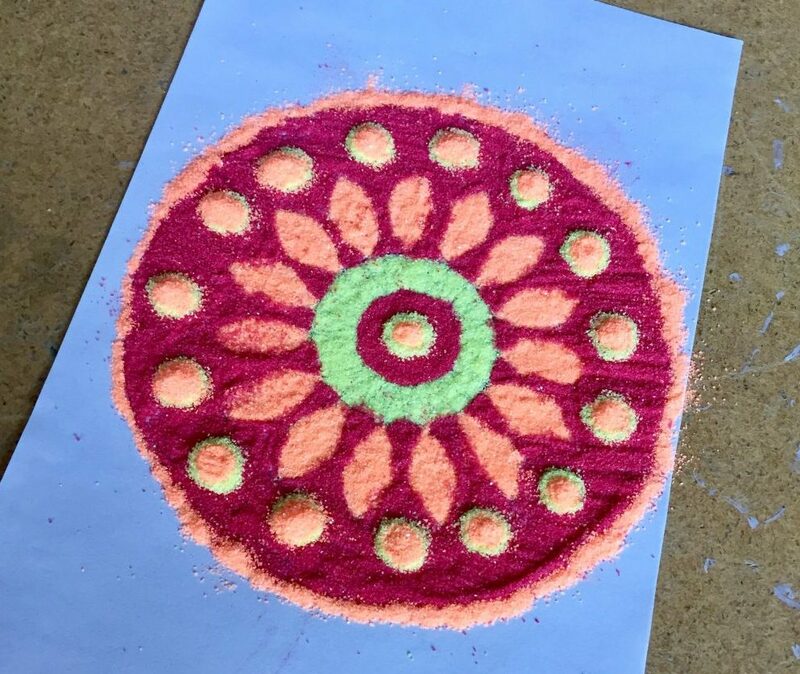 We’ll look at an actual preserved sand mandala at the Minneapolis Institute of Art on Wednesday. 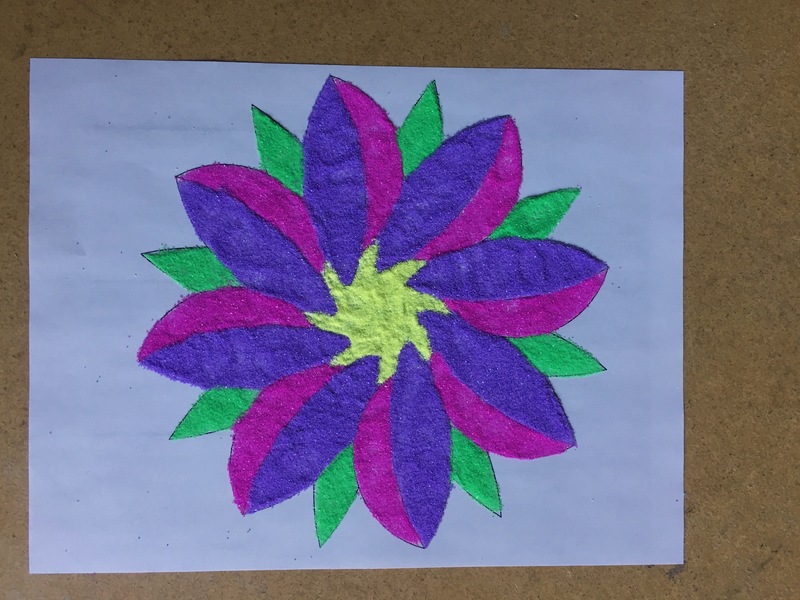 I just wanted to share the colorful fruits of my students’ labor! Destruction can be just as beautiful as creation. 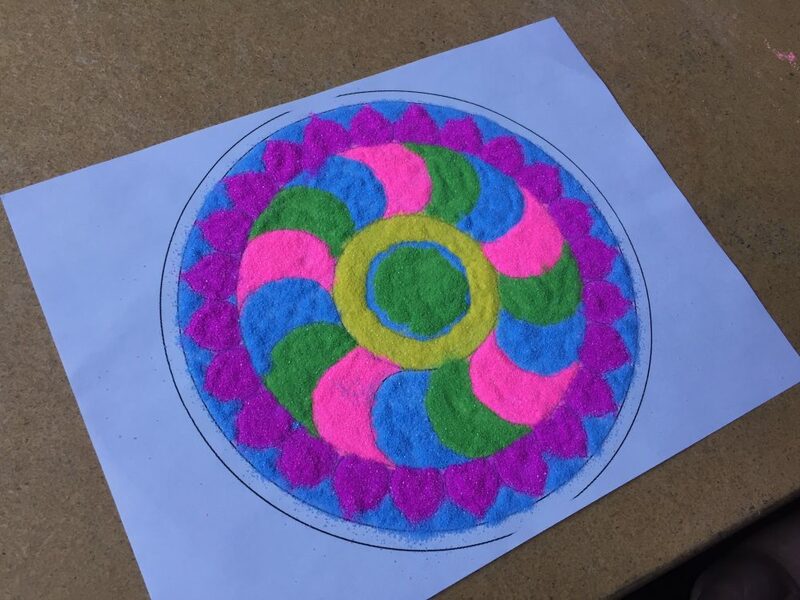 Mandala by L.A.
Our collective labor! Tossed to the wind. 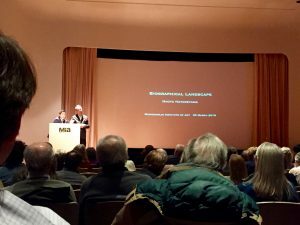 I received an invitation from the Curator of Photography and New Media at the Minneapolis Institute of Art, Yasufumi Nakamori, to attend a symposium that coincided with the exhibition of Naoya Hatakeyama’s photographs titled Excavating the Future City. I last saw Hatakeyama’s work in 2009, and I was excited about the opportunity to hear him speak and to see the show. 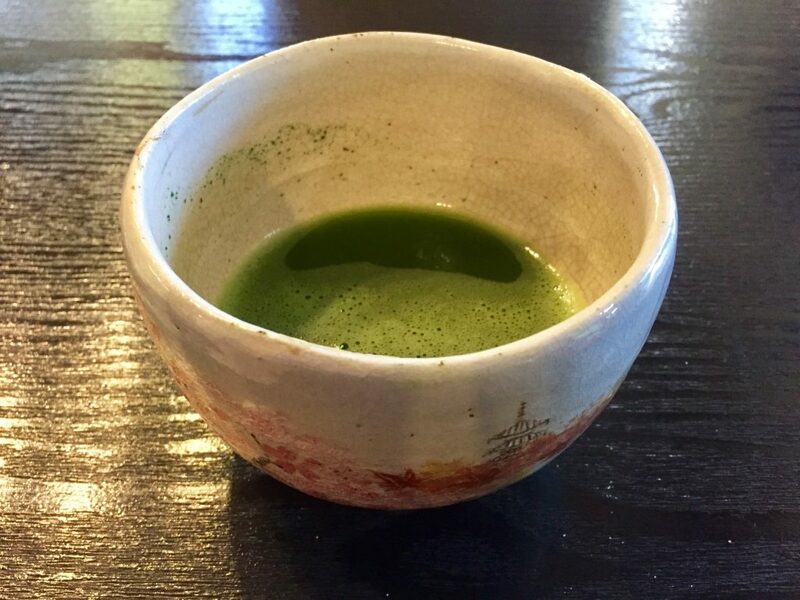 I am so grateful that two of my students could come with me — the conversations and images were of the sort that left you in a strange contemplative space with a want and a need to talk to someone. I was glad that we could hash out these difficult ideas together. 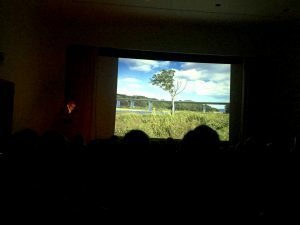 Hatakeyama used his keynote talk to think through his own position as a photographer and his relationship to 3/11 disaster, which consisted of an earthquake, a tsunami, and a subsequent nuclear catastrophe in Fukushima Daiichi in March 2011. Hatakeyama’s hometown was a small fishing town named Rikuzentakata in Iwate Prefecture, which was directly impacted by the tsunami. Hatakeyama’s talk vacillated between extremes — between life and death, between insider and outsider, and between the past and the future. Hatakeyama’s slow and deliberate delivery was set against quickly changing slides featuring his photographs. He asked us how we consider works like this that are factual, but not photojournalism. Images that exist between art and something deeper. Photographs that render us speechless. 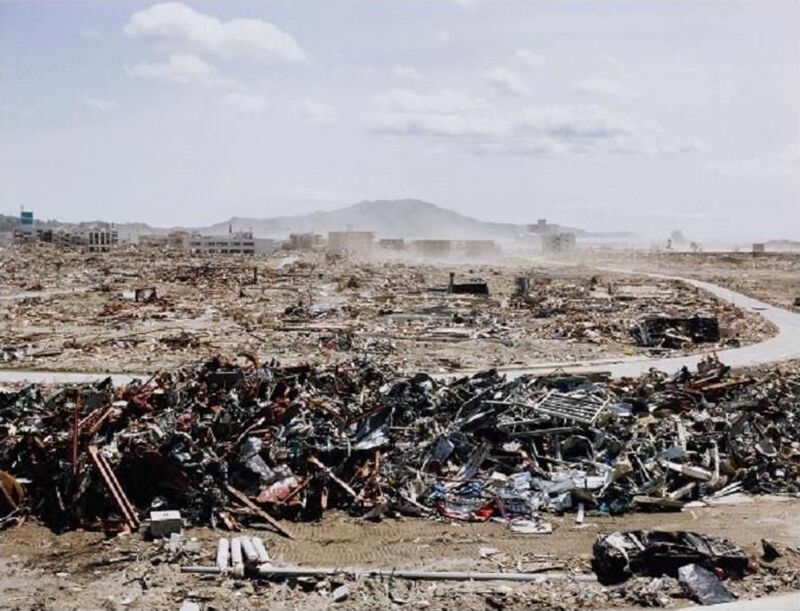 Hatakeyama began by showing us photos that he had taken in Rikuzentakata before the tsunami. This record of a town and its life was not in preparation for the tsunami, and yet the images were filled with ghosts. Our relationship with the people and sites in the photos cause us to think about what was lost. Hatakeyama also discussed his own personal grief surrounding the loss of his mother and his hometown, both of which cannot be retrieved. 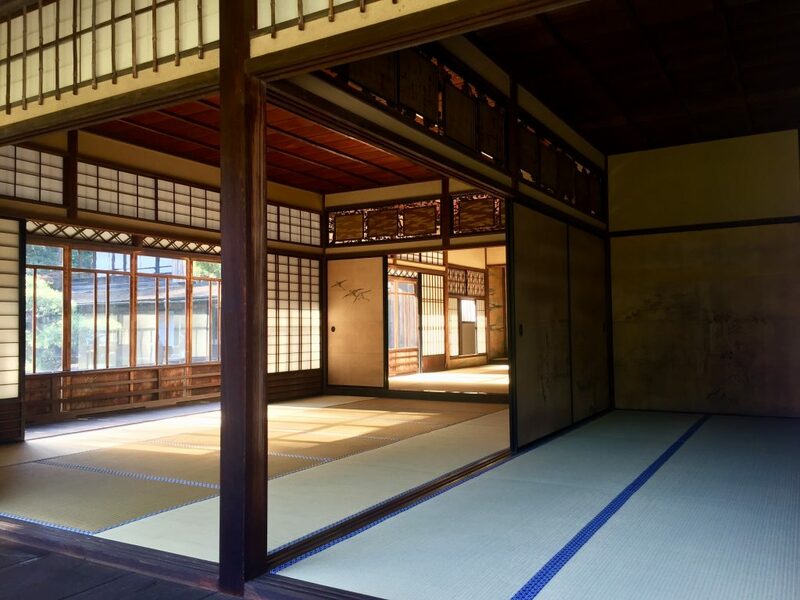 Even during the rebuilding process, the local government will never be able to reconstruct traditional homes and historical sites because of an aging population and a slow, but steady, exodus from rural areas to the more urban Tokyo. It would be rebuilt in a new manner befitting the current residents, who will remember a history that was physically ingrained in and then erased from the landscape. What was powerful to me was the process of thinking through the various personal relationships we have to disaster. Victims of a disaster extend far beyond the immediate flood zones. Hatakeyama felt very much affected by the tsunami, and yet, was perceived as an outsider by those who directly experienced it in Rikuzentakata. It is a strange sensation to feel so intensely connected to an event, even to the extent of losing one’s parent, but to be on the outside looking in at the physical trauma to the people and the land. And there is that nagging and ever-present sense of “what if” that lingers — what if I had been in my parent’s house; what if I had never left. Two engaging panels followed the keynote. The first focused on issues of representation. We hard from Anne Wilkes Tucker, a curator emerita of The Museum of Fine Arts, Houston, Gennifer Weisenfeld, a professor of art history and visual studies and Dean of the Humanities at Duke University, and Manny Fernandez, the New York Times Houston Bureau Chief who covered Hurricane Harvey and its aftermath. Weisenfeld is an academic hero of mine (I saw a talk by her at UPenn when I was in undergrad, believe it or not). I thought it was valuable to think through not only the power of images, but how they often work in concert with each other to further some message or story about disaster. The second panel focused on architecture and urban planning around issues of disaster and crisis. It featured Shohei Shigematsu, an architect and OMA Partner whose work includes an urban water strategy for New Jersey post-Hurricane Sandy, Kate Knuth, the former Chief Resilience Officer at City of Minneapolis, and William Fulton, director of the Kinder Institute for Urban Research at Rice University. As an art historian, I was really intrigued to think about the relationship of visual culture to policy making in today’s world. 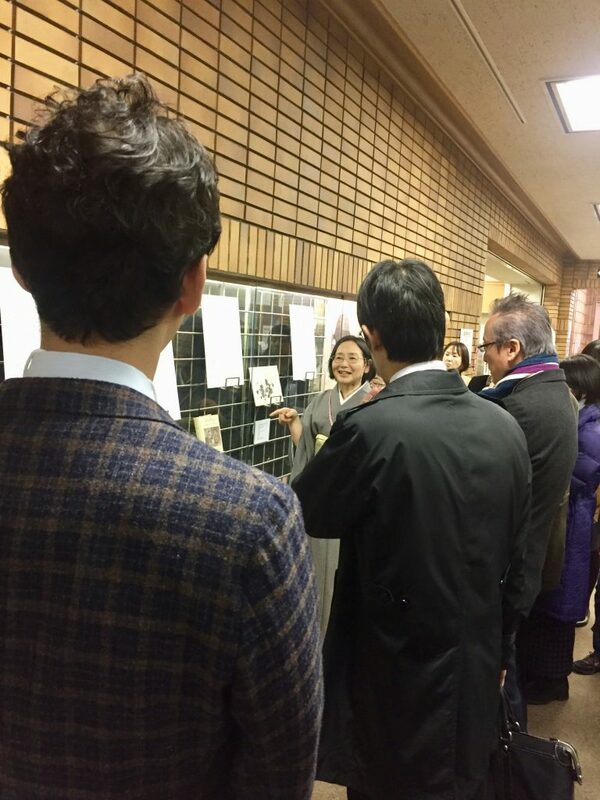 After the symposium wrapped up, my students and I went upstairs to see the exhibition, which was impressive. I needed far longer than one hour to process everything in the room and plan on going back soon. One of my students had never really seen (or even seen the point) of seeing photography in an exhibition before that day. I hope that the experience changed her perception of how the exhibition context can change our relationship to photographs that we sometimes take for granted when seen online or in a book. There is a flat, but tactile quality to the image that is hard to express. We spent a long time looking at details, colors, and the use of line in his earlier works on limestone quarries — it was easy to talk about those aesthetically. But the transition to his work on Rikuzentakata really underscored the issue of how we read and comprehend images of disaster. Redesigning a website feels a little bit like cleaning my house. It progressively gets “messy” to the point that I can’t stand it anymore, I drop everything, and then clean it from top to bottom. Once I begin the process, there is no stopping me, and it consumes every moment of free time until the project is complete. Then, I collapse into a pile on the floor admiring my sparkling living space. 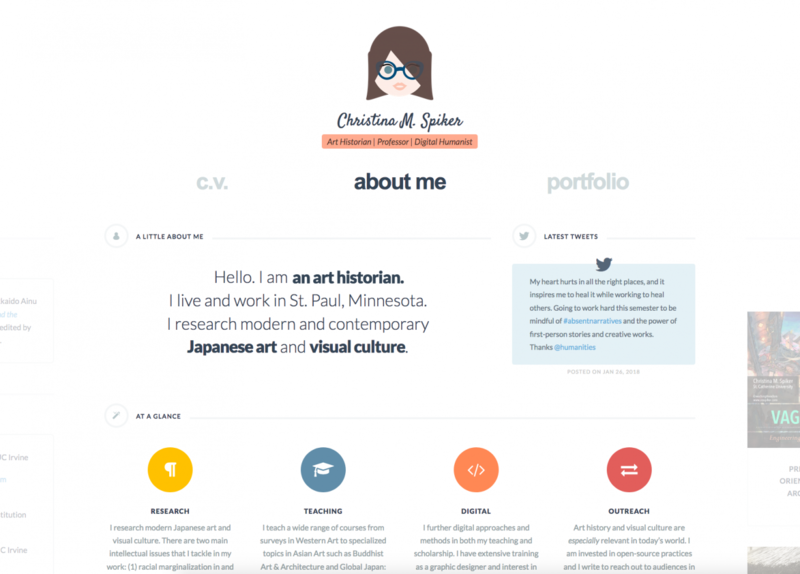 So from my prone position, welcome to Version 3 of my online portfolio/cv/blog. I tend to live with my site layouts for some time. I get excited when I first implement them, grow into them, and eventually grow out of them. Especially as I grow and shift in my career and interests, the site needs to respond in kind. This latest version better showcases the various hats I wear as an academic, a teacher, and a digital humanist. 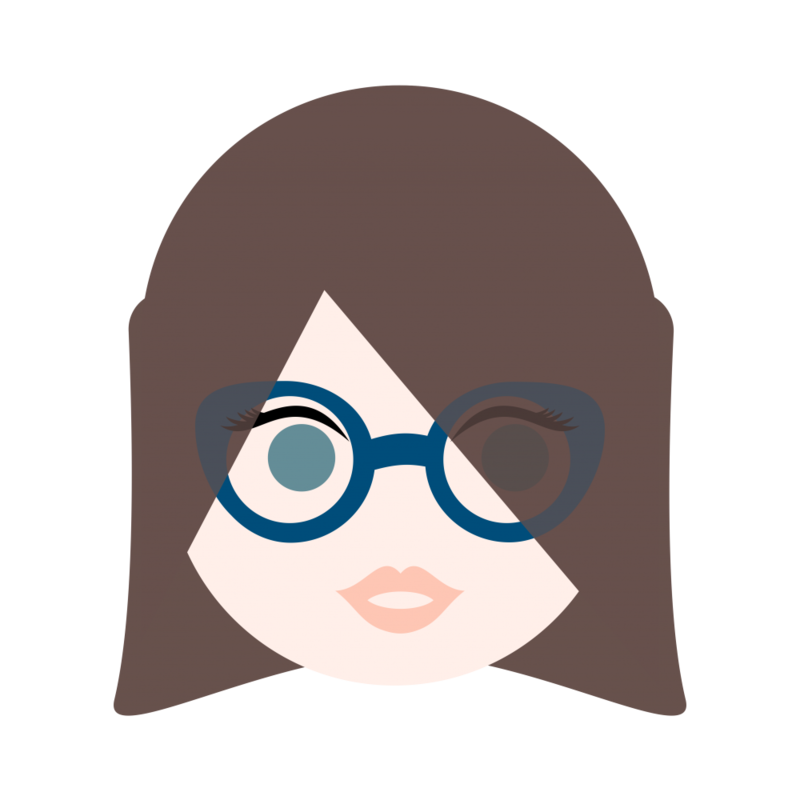 The website features illustrations that I created of myself and my interests through an app called Assembly that my student M introduced to me just before winter break. Although I’m trained in Illustrator, there is something delightfully fun about pinching and zooming my way to an illustration. The site has a flat, minimalist style and is a LOT snappier than the previous version. Let me know your thoughts below. I can’t properly put into words how happy it makes me to officially add this link to Mapping Isabella Bird to the site. It is a project that has been in the making since 2015, and one that really came together in the last two years since arriving at St. Kate’s. 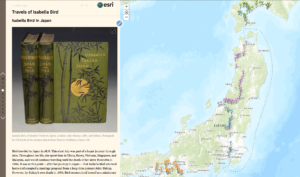 I have long wanted to create a comprehensive resource for students and researchers studying Bird’s travelogue Unbeaten Tracks in Japan (1880), and this website has a little bit for everyone–Literary Studies, Art History, Asian Studies, Japanese Studies, Ainu Studies, Tourism Studies, and Geography.Putting the site together reminded me why I became fascinated with Bird in the first place: her work manages to serve as a resource in so many disciplines and her legacy keeps on. The release of the site is timely with a special issue titled “Isabella Bird, Victorian globalism, and Unbeaten Tracks in Japan (1880)” appearing in vol. 21 of Studies in Travel Writing (2017). I’m looking forward to working my way through these essays. 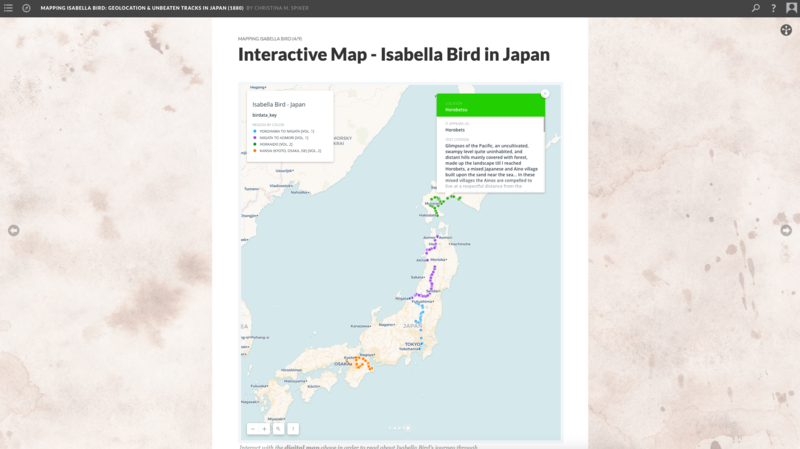 Mapping Isabella Bird was built with Scalar 2, a digital publishing platform developed by the University of Southern California. I first learned about Scalar (then in its first iteration) as a graduate student at UC Irvine. The ability to annotate media made it particularly attractive to me, and I knew it would work well for this project. The website can be navigated in a variety of ways — through the path at the bottom of the home page or through the drop-down menu in the top left. 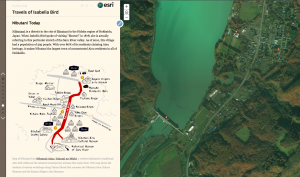 You will find interactive maps created on ArcGIS, CARTO, and Google Maps, which build on tabular data culled from the books. You will also find an image gallery that is slowly being annotating with original source images (and if you are interested, I am always looking for help tracking these photographs down!) 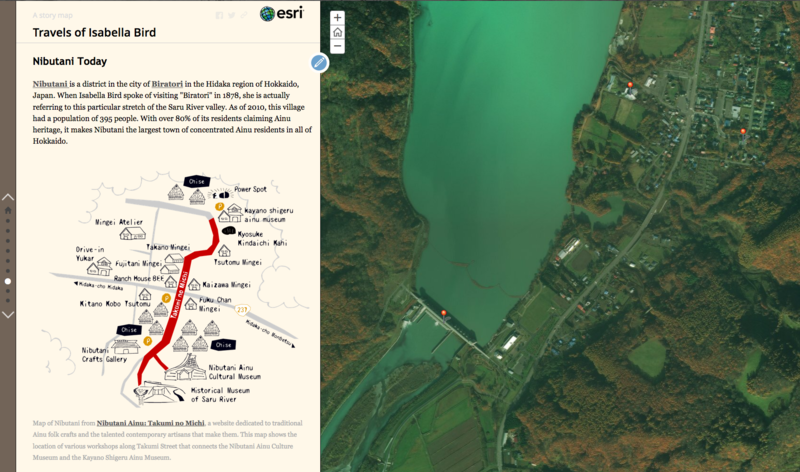 The website also deliberately highlights Bird’s travel in Hokkaido and the Ainu in the Saru River Valley today in a recognition of their adaptation and development over time. I remain committed to recognizing the present of the Ainu in addition to their past. What’s next? I’m in the process now of designing some sample assignments using the various resources of the site for secondary and higher education. Some will be for use in Art History classroom while others will fit will into a syllabus on Japanese History. Many will be paired with chapters of the travelogue. 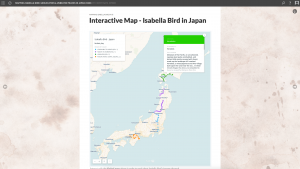 I hope that the resource will be useful for years to come for others who remain curious about Bird and her Japanese journey in 1878. You can access the project directly via the menu on the left. If you find it useful, please don’t hesitate to let me know. 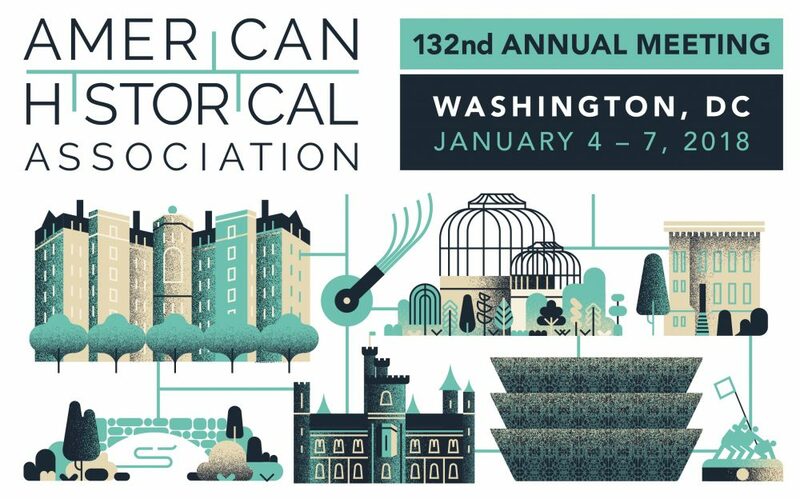 It is the day before the last day of the American Historical Association conference 2018. I’ve got my chai in hand, my presentation finished, and my swag from the exhibition hall in tow. All in all a great time. It has been a great conference for making new connections and reconnecting with some old friends from UCI in History and Asian Studies. There were surprising connections between Paul’s work and my own, Joe and Matt shared a “Kodak Connection,” and Joe’s presentation made me really reconsider the role of Reverend John Batchelor in Ainu representation. Plus Joe let us play with old cameras that he reconstructed. An extremely cool opportunity for any photography and material culture buff! 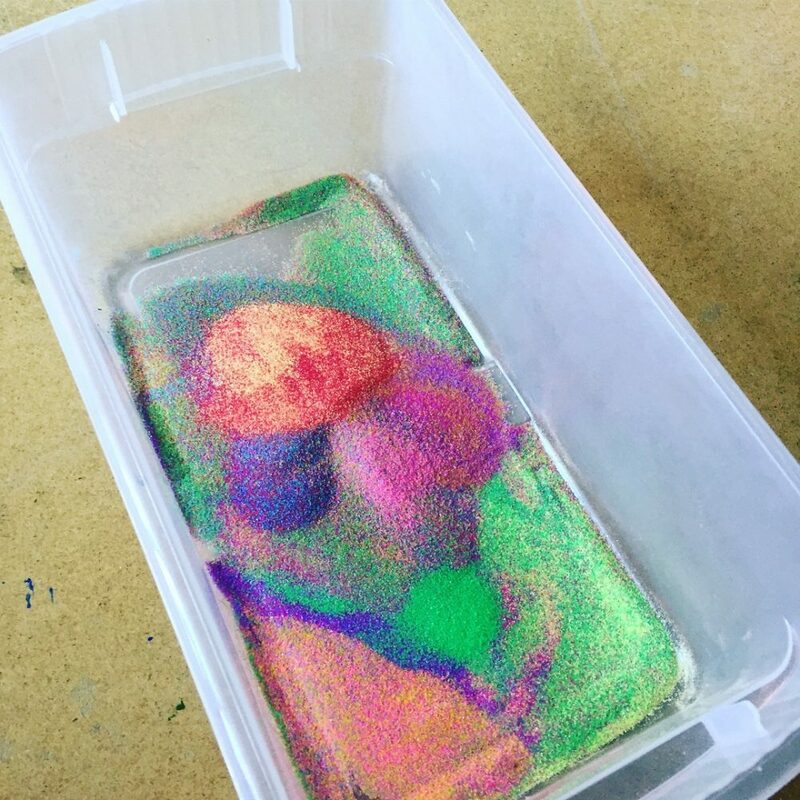 I would love to get my hands on some for the classroom. I had the opportunity to attend and tweet some interesting panels: #s29 Digital Projects Lightning Round, #s142 Resistant and Receptive, Insiders and Outsiders: Native Peoples and the Making of Early Modern Indigenous Sovereignty, Colonial Subjects, and Slaves, #s214 Displaying the Nation: Visions of Past and Future in Modern Japan. Tomorrow morning I will see my friend Yidi Wu’s presentation on #s264 Grassroots Activism in 20th-Century Asia: Lessons from Russia, China, and North Vietnam and if I have time I will head to #s310 Empire, Race, and Sovereignty in Hawai’i From Kingdom to Statehood. There has been very little downtime! 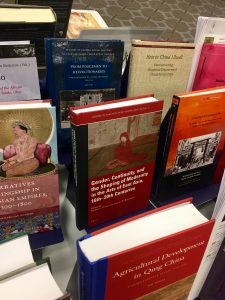 In the exhibition hall, I also had the rare opportunity to spot a book that I contributed to in the Brill booth. This was a first for me and I am immensely proud of the work that everyone put in! The conference has allowed me to clearly see the value and contributions of my own discipline. I value the many contributions by history — my work is not possible without them. But there is a true art to visual analysis that can bring a presentation alive. Images are sources in an of themselves and paying attention to their stories can open us up to new lines of inquiry. I’ve seen a lot of interesting archival material this trip — from maps to advertisements to video — and I keep thinking that asking “what” the images show is only part of the equation. We need to ask “how” they mean what they do. 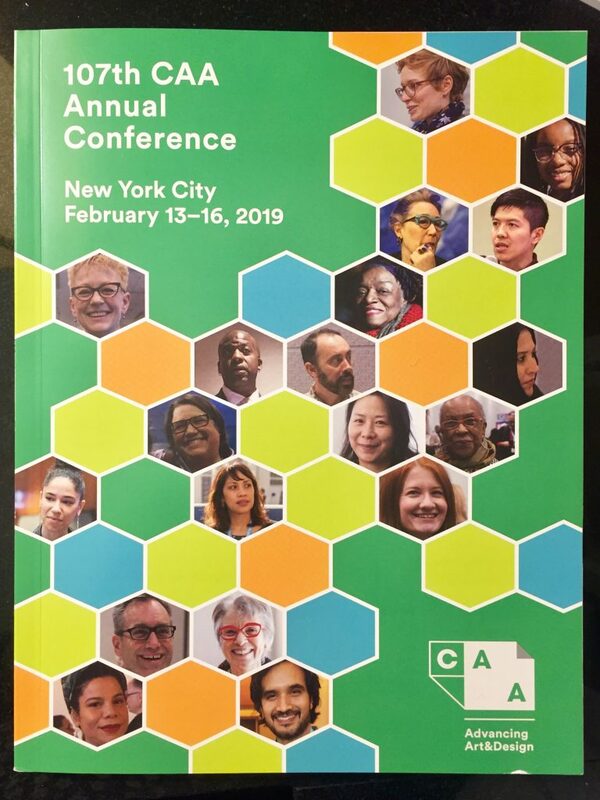 To quote W. J. T. Mitchell’s essay that my students grappled with all semester, “What do Pictures Really Want?” So in sum, conference has been a valuable opportunity for defining myself as a scholar outside of my own field. The most interesting papers to listen to are those that still have questions to ask. I’ve seen a wide range of papers this trip — from presentations based on recently published work to real works in progress. And as a listener, I enjoy thinking through some of the problems alongside the speaker. The audience has so much to contribute, but there needs to be space to do so. I’m not a perfectionist by any means, but it encourages me to leave some areas open to debate so that I can benefit from the insight and observations of those around me. And finally, a question. How can recognize the violence of the archive? This was a question asked by a few of the papers that I heard (such as the lightening paper by Anelise Shrout and a paper about Tupi language(s) in Eastern South America by M. Kittiya Lee). The types of information (and the organizations collecting it) often contribute to forms of historical erasure. I need to meditate more deeply on this issue within my own work. Looking forward to enjoying tomorrow and then seeing some family before returning home to St. Paul to prepare for Spring Semester. 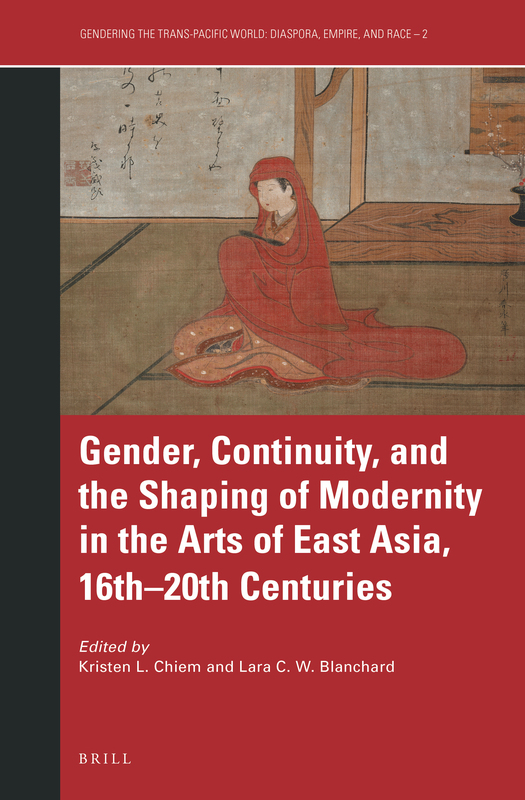 Gender, Continuity, and the Shaping of Modernity in the Arts of East Asia, 16th–20th Centuries explores women’s and men’s contributions to the arts and gendered visual representations in China, Korea, and Japan from the premodern through modern eras. 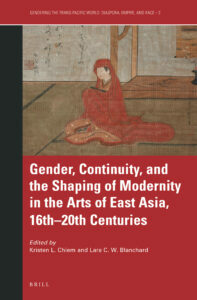 A critical introduction and nine essays consider how threads of continuity and exchanges between the cultures of East Asia, Europe, and the United States helped to shape modernity in this region, in the process revealing East Asia as a vital component of the trans-Pacific world. The essays are organized into three themes: representations of femininity, women as makers, and constructions of gender, and they consider examples of architecture, painting, woodblock prints and illustrated books, photography, and textiles. 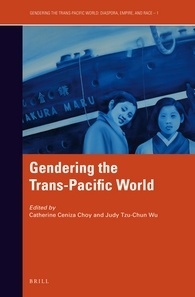 The book is the second volume in Brill’s series Gendering the Trans-Pacific World: Diaspora, Empire, and Race. 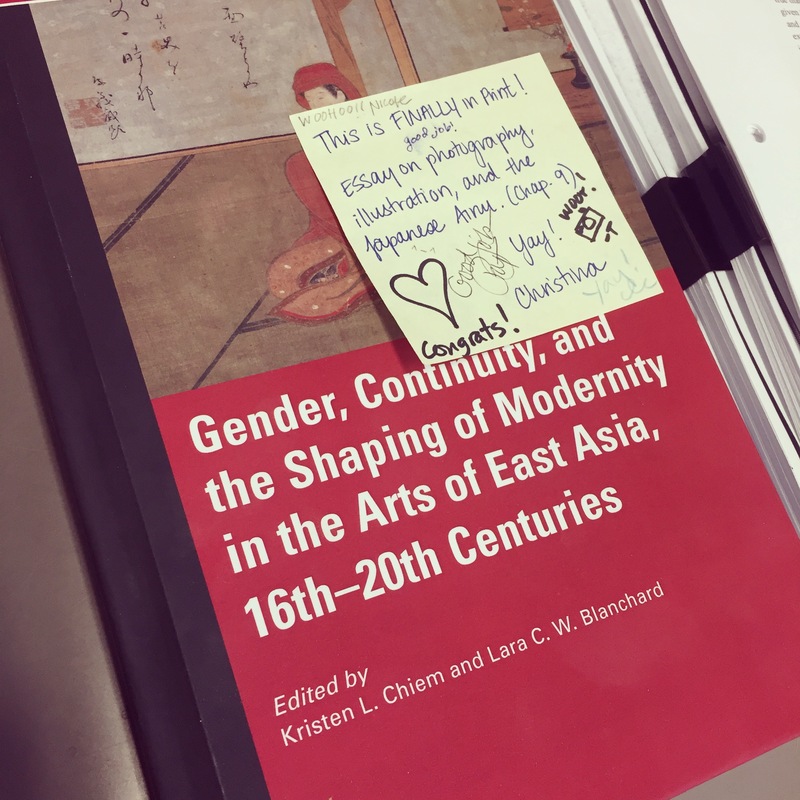 The first volume titled after the series was edited by Catherine Ceniza Choy (UC Berkeley) and Judy Tzu-Chun Wu (UC Irvine) this past March. Combined, there are so many insightful contributions to the study of gender in this region. My reading list is ever expanding. I’m excited about my own contribution to this volume for a few reasons. The essay, which derives from the first chapter of my dissertation, looks closely at the role of photography and illustration in the 1880 publication Unbeaten Tracks in Japan written by explorer and naturalist Isabella Lucy Bird (1851–1904). She is often best known for her travel to Hokkaido and her time spent among the Ainu there. In volumes that contain the word “East Asia” in the title, narratives that concern the creation by and representation of indigenous peoples in Asia are often excluded. We need to do better in this regard to recognize their stories and images as integral to the fabric of the region. I see my research as a small step in this regard. But being concerned chiefly with images produced of the Ainu, rather than by, it highlights the need for more indigenous voices to round out these ideas of how indigenous identity was complicated and complimented by notions of Asianness in the Pacific. Personally, the essay represents a huge accomplishment as well. 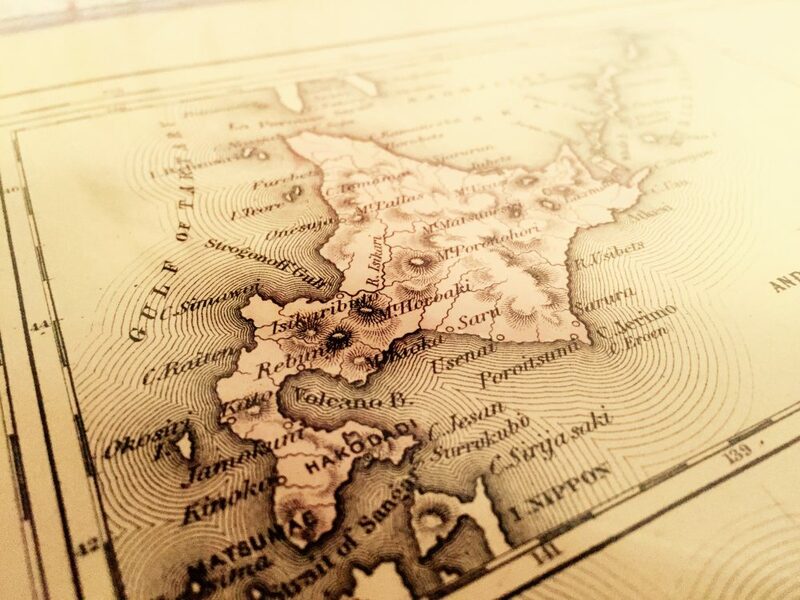 I wrote the first draft while living in Hokkaido, Japan, and it reminds me of my archival research in the Northern Studies Collection in the Hokkaido University Library. (It also reminds me of all the time spent in local Sapporo coffee shops typing away on my half-broken laptop). In the essay, I also take an interdisciplinary approach that I feel is representative of what I always wanted from Visual Studies. It some senses, the method taken is a culmination of my degree and my time at the University of California, Irvine. I’m happy to answer questions about the book, the work, or the research involved — just #AMA below. The abstract for my essay can be found here. I feel like I keep saying this a lot, but I’m often surprised about the treasures that are hidden in plain sight. 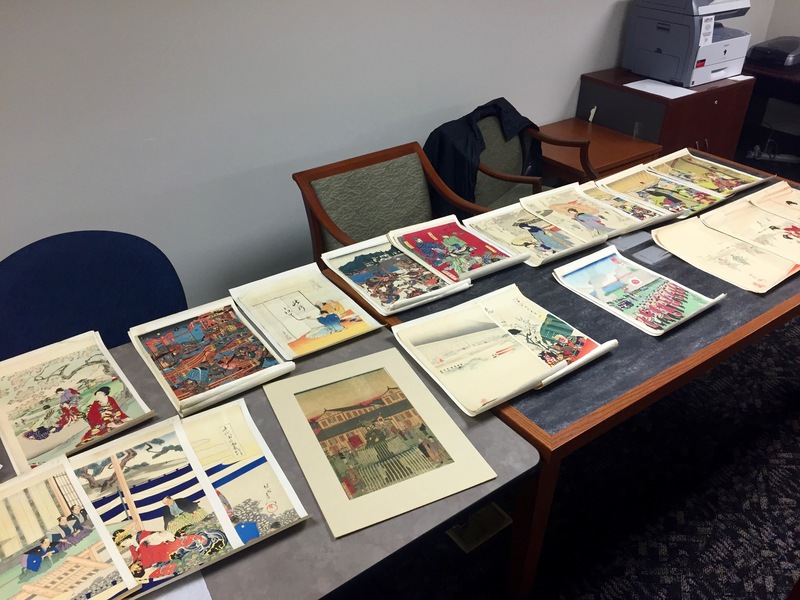 When I first arrived at St. Kate’s, Heather Carroll, a graduate student in the Masters of Library and Information Science (MLIS) Program, told me that we had a few Japanese prints hidden in the library’s Special Collections. It has taken us a year, but we finally picked a day to head down to the library to check them out. As we slowly lifted the prints off the cart, I quickly realized that “a few” was in reality MANY! I took study photographs of about 70 prints just this past October. There are some exceptions (such as a few examples of sōsaku hanga), but most of the prints we found are Meiji-era (from between 1890 and 1899). A few different artists are represented, but we have a fair number from Chikanobu Yōshū (楊洲周延) (1838-1912) also known as Chikanobu Hashimoto or Chikanobu Toyohara (seen in the top example). 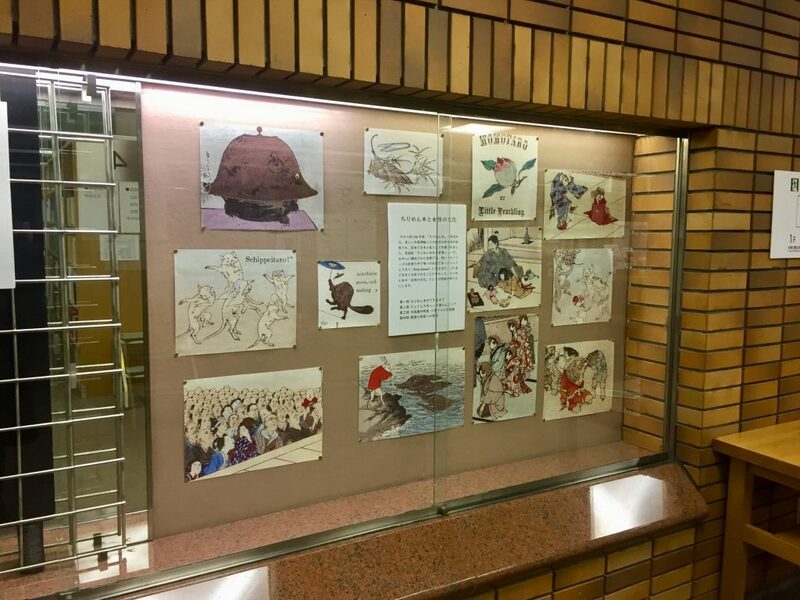 Most of our prints at St. Kate’s come from a series about court ladies living in the Chiyoda Palace. As an artist, Chikanobu first studied Kano School painting before moving on to ukiyo-e, where he was a disciple of Keisai Eisen. Later he studied under Ichiyūsai Kuniyoshi and then Kunisada. 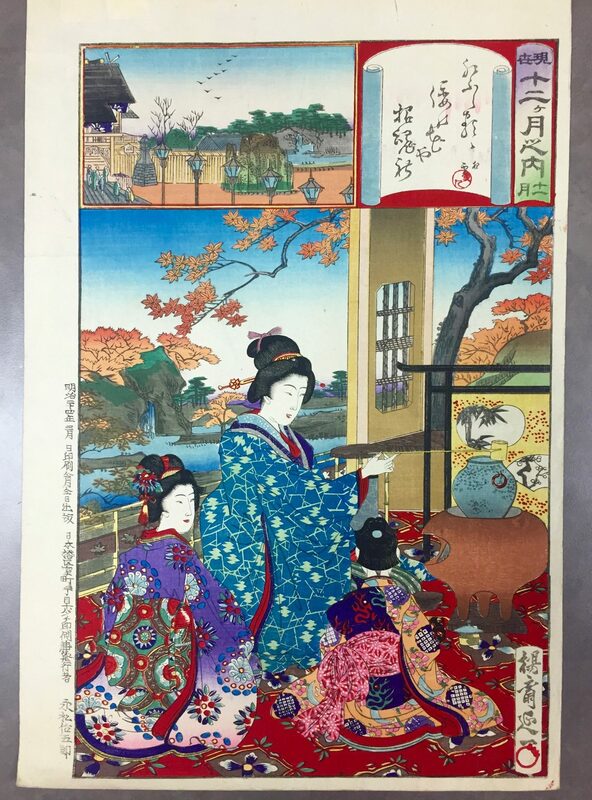 Many of our works have subject matter that hails from either earlier historical periods or from Japanese mythology, but we also have a few prints that conspicuously recognize the changing nature of Japan under modernization with red brick (akarenga) and the Emperor in Western military garb. 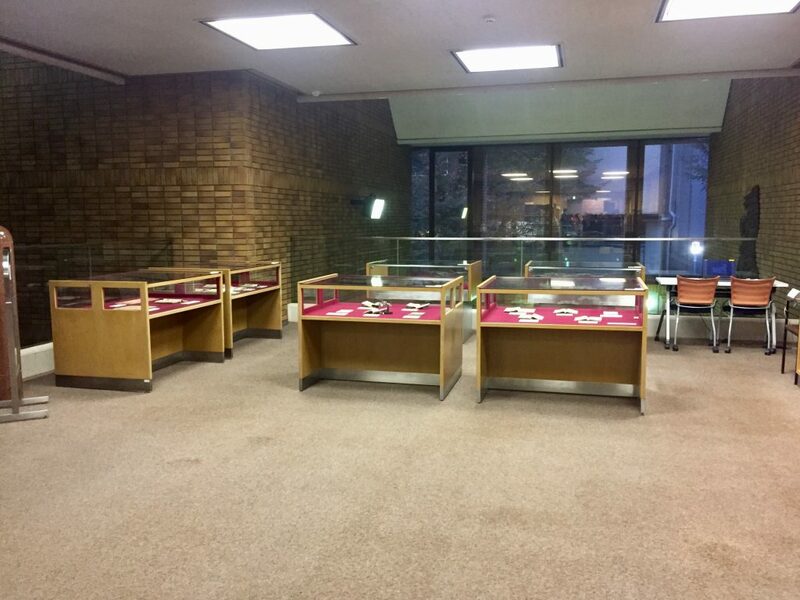 We are in the process of identifying the prints, assessing their condition, and looking for the original donor information. Together, we hope to figure out a better storage solution that will keep them laying flat and prevent them from curling. Long term, it would be great to put together some sort of exhibition to reintroduce these prints to the St. Kate’s community. We have some big idea, so stay tuned! Science fiction gives us free rein to imagine a different world, giving us insight into what in our own world has become naturalized and allowing us the space to question the potentials of technologically enhanced futures. The questions provoked by science fiction strategies and forms often provide insights that lead us to imagine our own world in a different light. Mechademia 2017 focuses on Science Fictions. Science fiction is central to the study of Asian Popular Cultures because it is the key narrative formation of anime, and the subject of many manga volumes and video game narratives. We encourage papers that analyze science fiction tactics and narratives to explore themes regarding the way the geo-political, geo-economic climatic situation has been reflected, criticized, and made hypothetical through futuristic utopian/dystopian narratives in anime, manga, art, design, illustration, literature, film, and gaming. I won’t be presenting this year, but I am so very proud that my undergraduate student Rocky Pierson (majoring in Electronic Media Studies at St. Thomas University and minoring in Graphic Design at St. Kate’s) will be presenting her insightful paper, “In the Age of Technology, the West Calls for a Separation of the Ghost and the Shell,” that explores Mamoru Oshii’s 1995 Ghost in the Shell in contrast to Rupert Sanders’ 2017 adaptation. Rocky makes a fascinating argument how each film considers its potential audience with regard to the fear (or emancipatory potential) of technology. Her argument engages in both theology and philosophy as she considers the ontological importance of the cyborg body in each film’s visuals and narrative, while questioning how each views the possibilities of the post-human condition. If you are interested in hearing Rocky’s paper, she is presenting on the 3rd panel at 9:45am on Saturday morning (9/23). She will be presenting alongside Genevieve Gamache, Muhammad Aurangzeb Ahmad, and Andrea Horbinski. For curious eyes, I just published a brief essay titled “Should You Pull? : Gachapon, Risk, and Reward in Mobile Gaming” with First Person Scholar. I’m trying to historicize plastic capsule toy vending machines in Japan, or gachapon, while also thinking forward to their application in mobile games as a monetary model. The essay brings together cultural history with some examples of application where the physical meets the virtual. I hope you enjoy it! I couldn’t help but to throw some contemporary art in there too. I am an art historian, after all. I feel energized — what an awesome way to kick off the Fall Semester! I’m teaching Ways of Seeing and Art History: Renaissance through Modern this time around, so more about my in-class experiences soon! 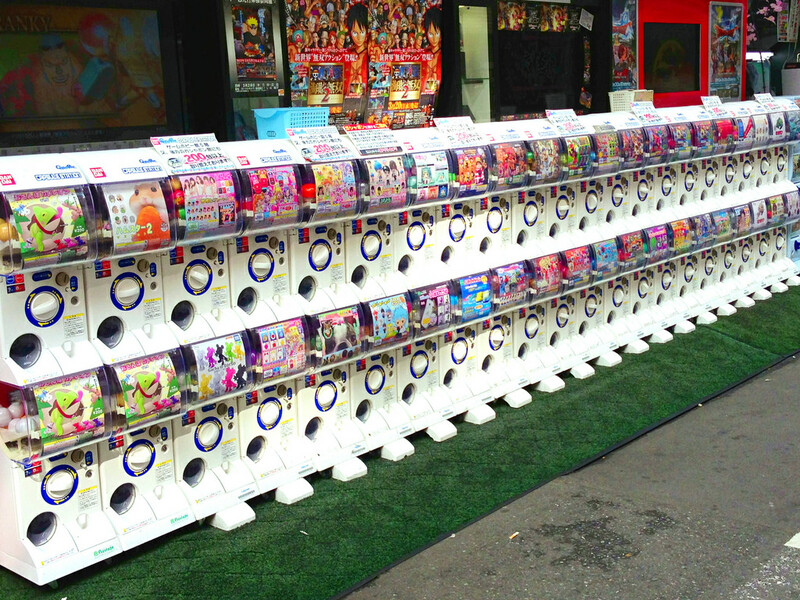 Photo credit: MsSaraKelly Vending machines outside a games shop in Shinjuku via photopin (license). 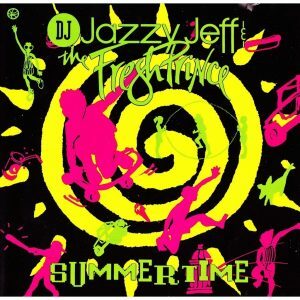 During the school year, I always bemoan a lack of time and yearn for summer days when I will be totally free to write that latest book proposal / article / essay / blog / conference abstract… And yet, every time the summer comes, I find it hard to find the focus and motivation to get work done. I know that I’m not alone in my struggles, as it seems to be one of the most common topics of commiseration among faculty both old and new. But I can never help feeling like I am struggling along in front of an empty Word .doc. And before I know it, the summer comes to a close as we turn our attention towards course preps and upcoming departmental meetings. The summer is fleeting. The fact that I got more work done in these dedicated two hour chunks than one of my 8-hour coffee-shop binge sessions was enlightening. I kept thinking, “I can get more work done in two 2-hour chunks than a solid 8 hours of effort?! What magic is this? !” But I really think the process was effective because of breaks and the cultivation of a writer’s community–with people who faced the same struggles and neuroses as the rest of us. This week, I felt like my work was part of something larger. And through the process, an 8-page conference paper blossomed into a 25-page draft (complete with references). More work needs to be done, but I’m going to try my hand at allotting my own Sacred Writing Time during the week, and see how that goes. It begins today. And as an added bonus of the process? Learning about the scholarly work and ambitions of my other colleagues in fields as diverse as English, Nursing, Occupational Therapy, Biology, and Business. As I walk around campus this fall, I now have 13 newly familiar faces to greet me during Opening Workshops. I can even tell you what they are working on! 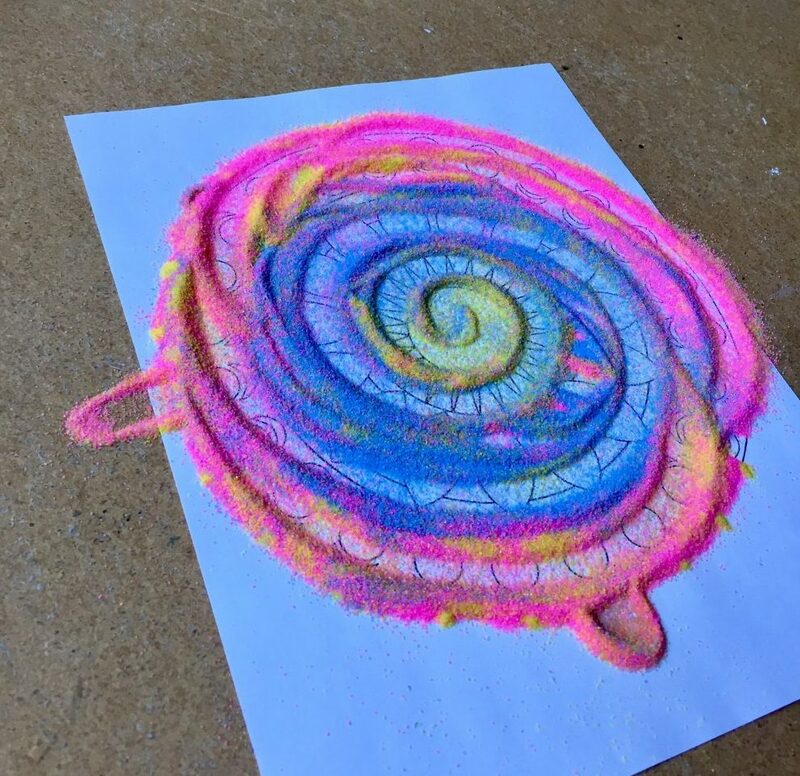 The more I reflect, the more I think that graduate programs should embrace similar retreats to teach their students and faculty how to establish a healthy writing practice. I try to think about when I learned all of the bad habits that I am trying desperately to unlearn. Was it when I was dissertating in coffee shops across the U.S. and Japan? How about cranking out seminar papers on the quarter system? Did it begin in my undergraduate education? Or in high school? I think that by the time we enter graduate school, everyone makes the assumption that not only can we write well, but that we can do so efficiently. But writing can be a struggle if it is not routine. And since there will never be enough time, we need to protect the time we allot in order to make writing a more mundane part of our schedule. Because if I am telling the truth, my best work was never the result of divine inspiration. And I bet yours wasn’t either. It was the product of a daily toil and a special kind of perseverance to keep returning to that same draft no matter what frustrations I harbored. And the daily courage to sit down and double click on the document in order to begin. I have some experience working with the basic functions of mapping in ArcGIS through the Traveling Hokkaido project. I’ve got a long way to go before that work is done, but I wanted to make a resource more squarely focused on the various dimensions of a single traveler. 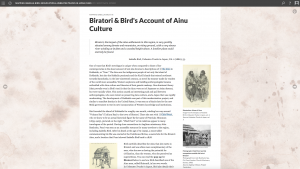 Since I’ve been working on an essay on the role of illustration and the depiction of the Ainu in Isabella Bird’s Unbeaten Tracks in Japan (1880) (which will be moving to proofs soon, hopefully), I thought this might make a nice supplement. My goal with this is to create something that is accessible for audiences of all ages. The points I plotted out for Traveling Hokkaido form the basis of the Hokkaido map above, but I’ve gone through Bird’s itinerary and began plotting out her travel in Honshu as well. Although her journey is in two volumes, I am breaking it up into four stages: Yokohama to Niigata, Niigata to Aomori, Hokkaido, and Kansai. Each point on the map to the right is an actual location Bird indicates either in text or in her itinerary. For each pin, I am going through the original 1880 text and isolating relevant quotes that pertain to place, geography, specific sites, or customs. I haven’t worked with her first volume extensively before this, and it has been enlightening to see seasonal changes and her subjective evaluations of place before and after her time in Hokkaido. In addition to creating an overview of her entire Japan trip, I’m also trying to conxtualize the importance of her time in Hokkaido. 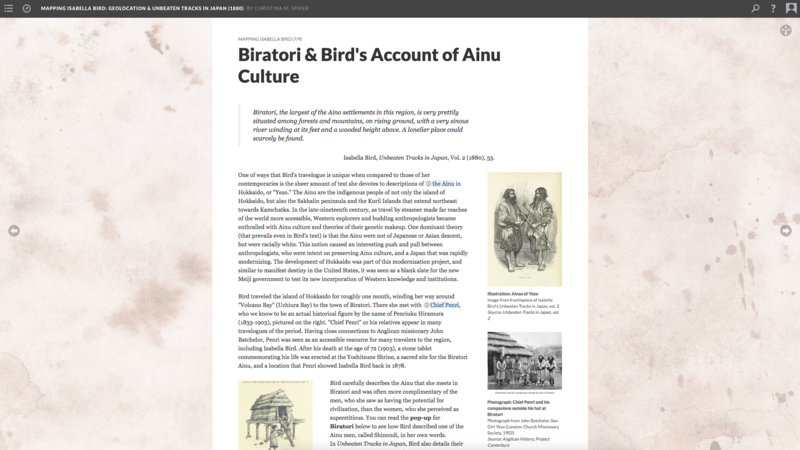 I feel committed to doing this in terms of Japanese history while also recognizing the current state of the Ainu in the Saru River valley, where Bird spent her time. I’m highlighting the Nibutani Ainu Culture Museum, the Kayano Shigeru Ainu Museum, and the legal debate regarding the Nibutani Dam. Too many popular writers only see the Ainu in terms of their “pastness” and it would be irresponsible not to consider their present and their future. As I put this together, I am also compiling ideas for an Educator’s Guide pitched towards high school and undergraduate students. I want to give educators ideas about how to use this series of maps in their classes. (After all, what good is a resource if you don’t know how to use it?) 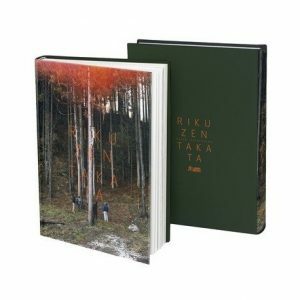 I think it could be extremely useful in Japanese history (of course), discussions of Victorian travel writing in literature, understanding the role of women in 19th century exploration, understanding the role of the Ainu in these narratives, and as a way to highlight the geographic context for understanding earlier practices of tourism that inform our own “beaten routes” today. A work in progress! I anticipate releasing the project in two weeks or so. The Educator’s Guide might come a little bit later, but it will definitely be done before fall. For now, enjoys the screenshots! Grades are in, the seniors have graduated, and campus is unusually quiet. Welcome to summer! 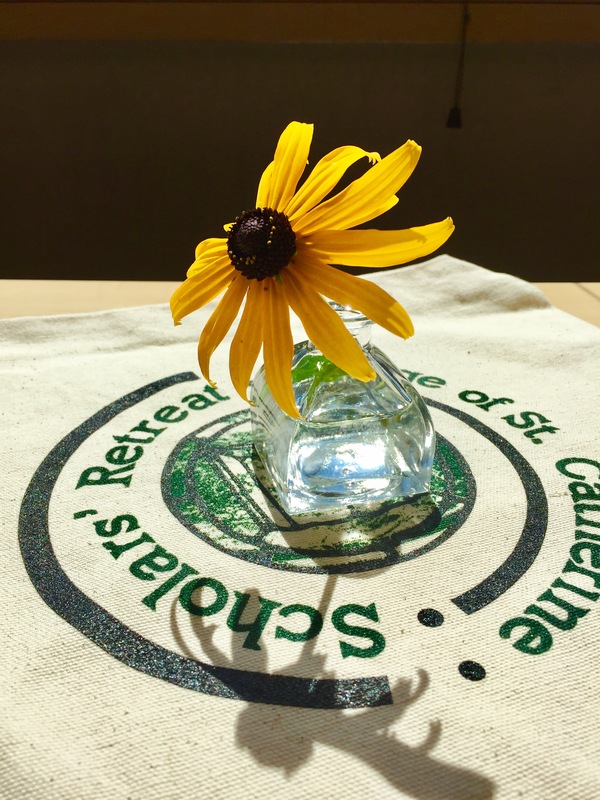 It has been an amazing year at St. Kate’s, and I continue to be grateful to have landed at an institution that has values so closely in line with my own, especially with regard to issues of social justice. 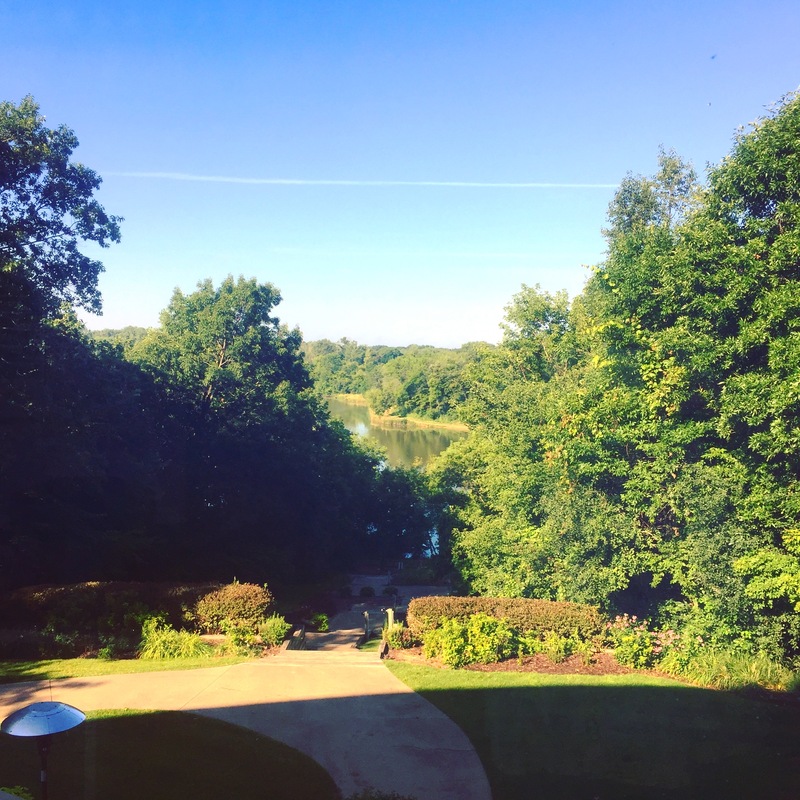 After reflecting on my own experiences at co-educational institutions (K-12, undergraduate, graduate), I have constantly grappled with what it means to actually teach at a women’s university. As this year draws to a close, I feel like I am one step closer to understanding the importance of this commitment. Like most of us in education, I look forward to the summer with relief and anticipation! I have a whole bucket list of things to accomplish over the next few months. Continue working on the Evelyn Goodrow Mitsch collection at St. Kate’s and flesh out my previous conference presentation into a full essay on chirimen-bon and US collecting practices. It will be good to get back into the archives without having to run to class! 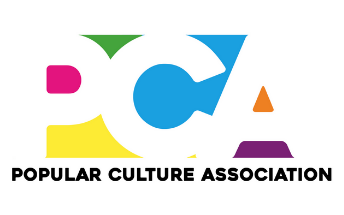 Finish an essay about indigenous representation in gaming, based on conference presentations at Console-ing Passions, Mechademia, and the Popular Culture Association. Begin inputting data I have collected for Traveling Hokkaido for Arnold Henry Savage Landor in ArcGIS. Because his travel was so extensive, this will be a lengthy undertaking… I also need to decide on future figures whose journeys I want to map and include in the project. 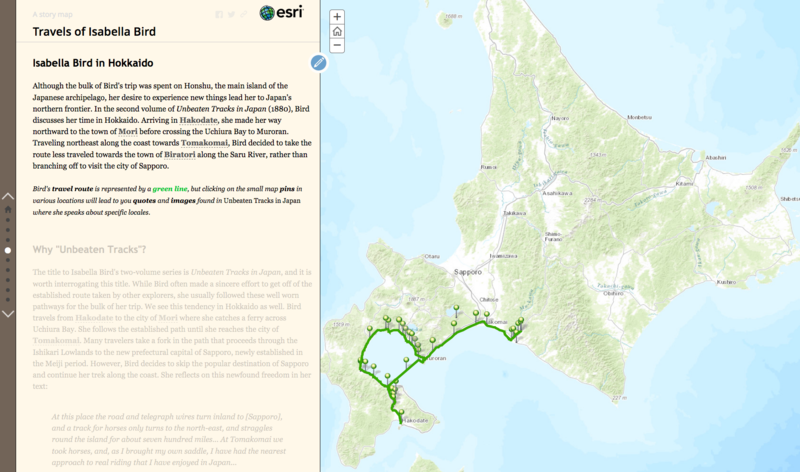 My end goal is to have 6-8 journeys mapped with illustrations in order to be a useful, comparative, and open-source digital resource for scholarly work in Ainu Studies. 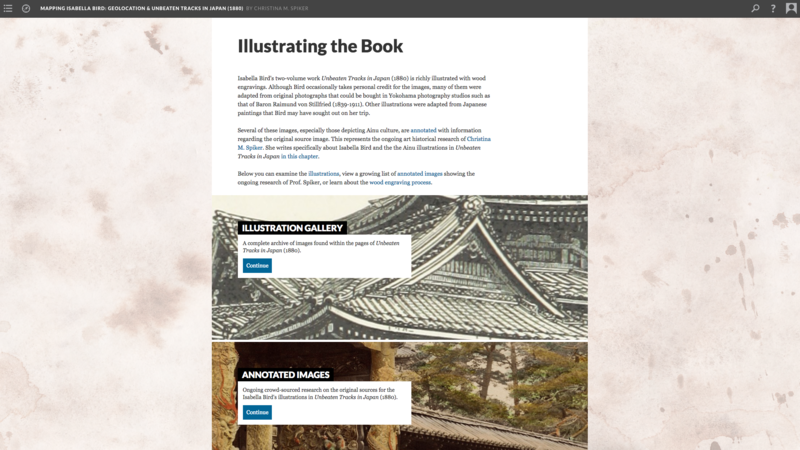 Finish a blog post for Art History Teaching Resources for the Fall on using Sutori to create interactive study guides for undergraduate students. 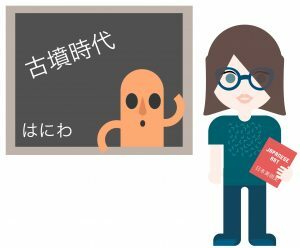 Research and pitch a 2000-word essay to First Person Scholar on gacha mechanics in Japanese and F2P gaming. This really has been a crazy year for conferences/symposia. 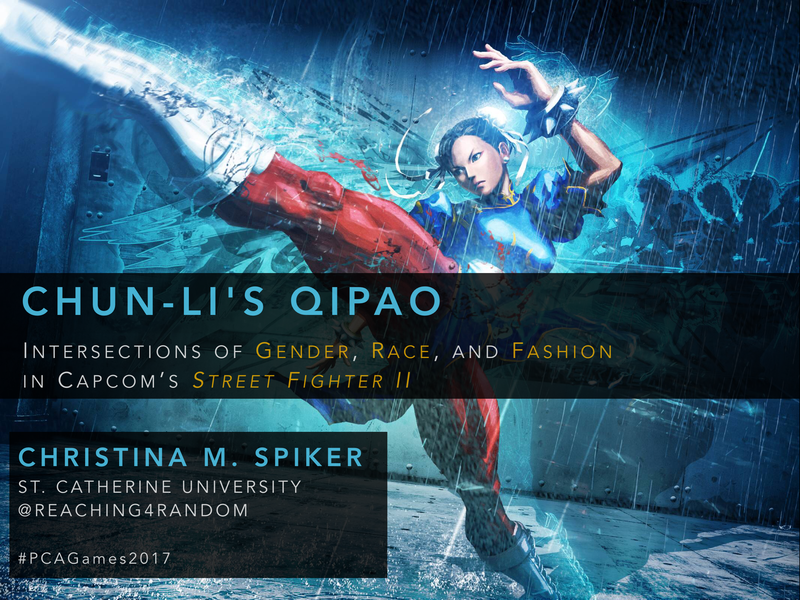 I will be giving a paper titled, “Chun-Li’s Qipao: Intersections of Gender, Race, and Fashion in Capcom’s Street Fighter II” on Friday, April 14th at the Popular Culture Association/American Culture Association (PCA/ACA). Our panel is Game Studies 8: Performing Identity. You can find us in Pacific Ballroom 14 from 9:45-11:15am at the Marriott Marquis Marina in San Diego, CA. I’m very excited about this paper — it is the third paper in a series related to arcade fighting games, and a topic that I stumbled into after working on Ainu representations in the game Samurai Shodown. I began to realize that you can’t understand images of Ainu women in these games until you fully come to terms with one of the first successful female fighters in the arcade fighting genre. This paper adopts a slightly different approach than I have previously taken with an emphasis on fashion. 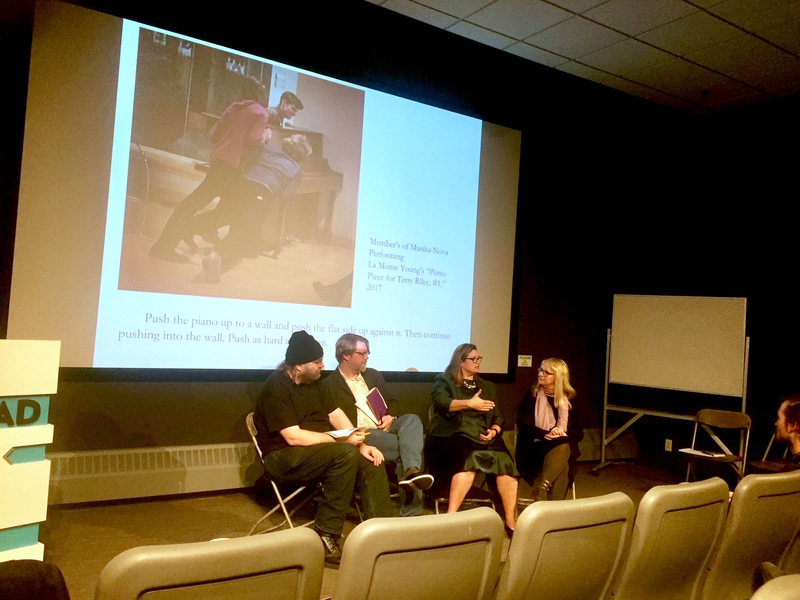 Thank you to Amy Hamlin for taking this great group photograph of both panels! Many thanks and congratulations to the Art Historians of the Twin Cities for a second year of fascinating presentations! I was so honored to be a part of this event for a second year running. 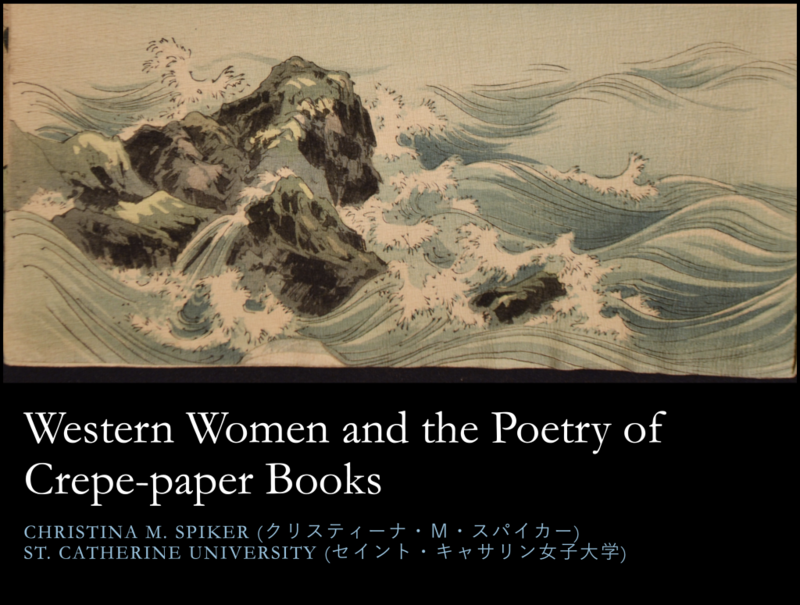 My paper on crepe-paper books (chirimen-bon) went over better than I had anticipated, and I left with so many new avenues to consider. It was great to hear the work of the six other presenters: Curt Germundson (Univ. 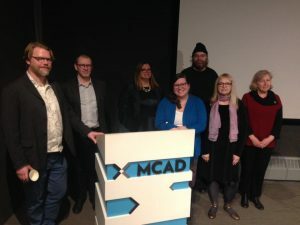 of Minnesota, Mankato), Gretchen Gasterland-Gustafson (MCAD), Frenchy Lunning (MCAD), Christopher Tradowsky (St. Olaf College), Damon Stanek (MCAD) and Maria Zavialova (Museum of Russian Art). With symposia such as this one that are purposely constructed to be inclusive of a wide variety of work, it can sometimes be difficult to find themes that unite multiple papers aside from the fact that we are all connected to art history or visual culture in one way or another. But there was one concept brought up by Gretchen Gasterland-Gustafson that I kept seeing throughout our papers. 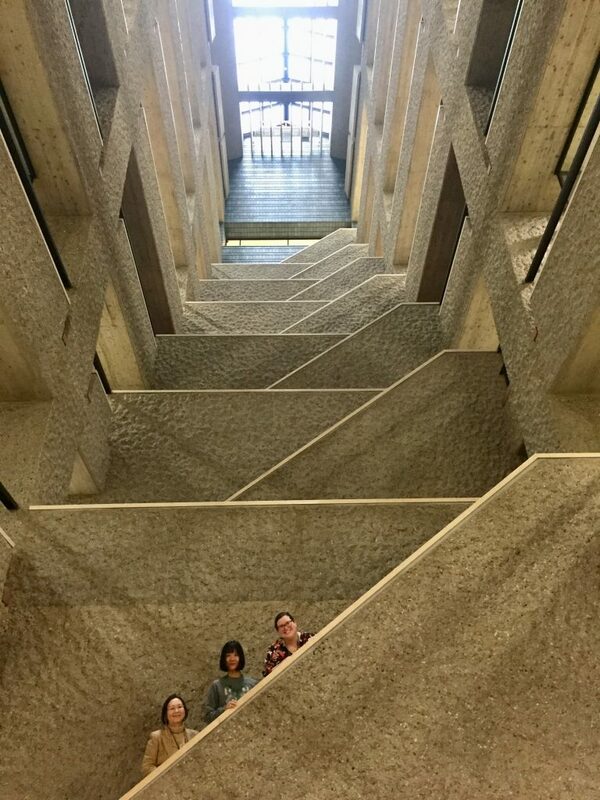 Citing Nicholas Bourriaud’s Relational Aesthetics (1998), she discussed the artwork of Chris Larson (particularly his recreation of Marcel Breuer’s Kacmarcik House as the “Daylight Center” in Kapenguria, Kenya). She said that Larson’s work was more concerned with the processes of formation, rather than the finished form. Form, she argued, is concerned with what is desired, while formation is concerned with what is possible. Gasterland-Gustafson related this to the collaborative possibilities inherent in Larson’s art. The crucial moment is when the artist’s initial ideas about a project meet the local constraints of environment, workers, and eventual inhabitants. She explained that form served as a blueprint of sorts, with participants bringing the work of art into being. Christopher Tradowsky comparing the poetry of Wallace Stevens and La Monte Young. After her paper, I began to see our collective preoccupation with issues of formation. 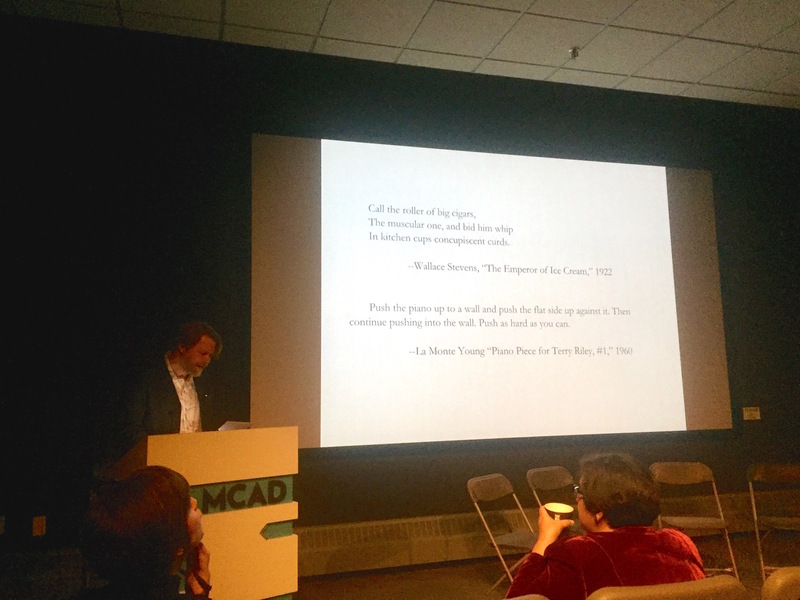 In the first panel, Curt Gemundson explored the work of Carl Buchheister and his idea that copies could somehow liberate us from our obsession with the original work of art (7 years before Walter Benjamin’s “Work of Art in the Age of Mechanical Reproduction,” mind you!) Despite his grand ideas, Buchheister eventually fails in this goal, as he still held on the original work of art, making art speculation possible and thus raising the price out of the price range of those he wanted to be able to afford it. Buchheister, in his own way, seemed to be engaging with these very debates over form and formation, and the problems that arise when we privilege form over the creative process more generally. In contrast, Christopher Tradowsky turned to Fluxus and imperative poetry, and challenged us to take poetry seriously. Over the course of his presentation, he spoke about performing a “Fluxus Festival” with students so that they could fully grasp the goals of this kind of performance. We saw a photograph of his students aggressively pushing a piano into the wall, following La Monte Young’s instruction. But this photograph reminded me that such acts require not only active participants to bring the work to being, but also an ability to relinquish control over a finished product. It is about the process, rather than the “finalized piece,” which could only be documented through the medium of photography (or video). And finally, Frenchy Lunning spoke about the gradual codification of an aesthetic called “hirahira” in girl’s ballet comics (shojo manga). The style derived its name from Japanese onomatopoeia for “flit and flutter.” While Lunning provided us with plenty of finished works to analyze, one of her main points was that ballet manga was, in a way, an act of adolescent self indulgence. At the same time that ballet manga strove to depict the perfection of form through the dancer “on point” at the height of lightness and thinness, the aesthetic itself was often a way of working through the identity formation of young girls defiantly standing outside the world of men. Q&A for the morning panel. In the second panel, Damon Stanek allowed us to think through the relationship between jazz and images that were projected on a screen in a gallery space. In a theoretical exegesis that moved between music and art, he asked us to consider the differences between presentation and representation. 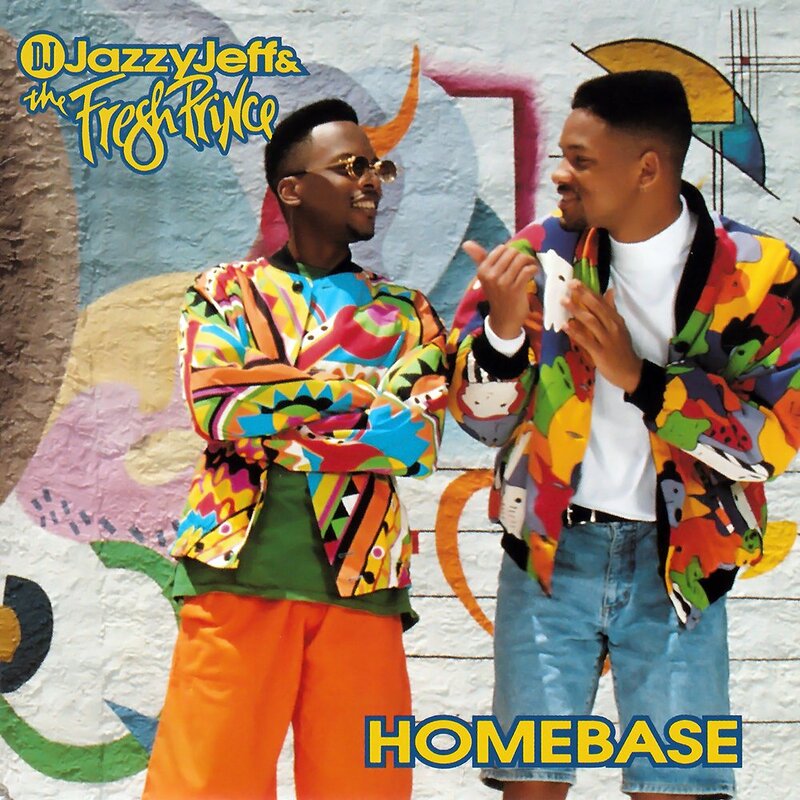 The question rattling in my mind was the striking contrast between the improvisation of jazz where music avoids the overdetermination of form, and the desire to create works of art intended to preserve that generative process in the gallery space. And finally, Maria Zavialova explored the collection at the Museum of Russian art from the perspective of the curator. She focused her talk on the collecting practices of Soviet Art, and it made me remember that collections go through their own formative processes that are subject to the whims of the market and history. And with regard to my own paper, I actively chose to focus on how these crepe-paper books came into being, rather than offer an analysis of the final form (which is scholarship already being carried out by scholars more qualified than I). I find that by focusing on process, I am better able to account for voices and narratives typically left out of the history. The labor of women is typically invisible if we analyze these books only in terms of significant artists and publishers. What is infinitely more interesting is how these things come into being through a process of cross-cultural collaboration. The way that I am seeing form vs. formation is likely a far reach from Bourriaud’s (and by extension Gasterland-Gustafson’s thesis), but it served as a productive way for me think through the variety of work at the symposium. What made the presentations interesting is that each person was invested in the collaborative possibilities inherent in the journey, rather than the destination. 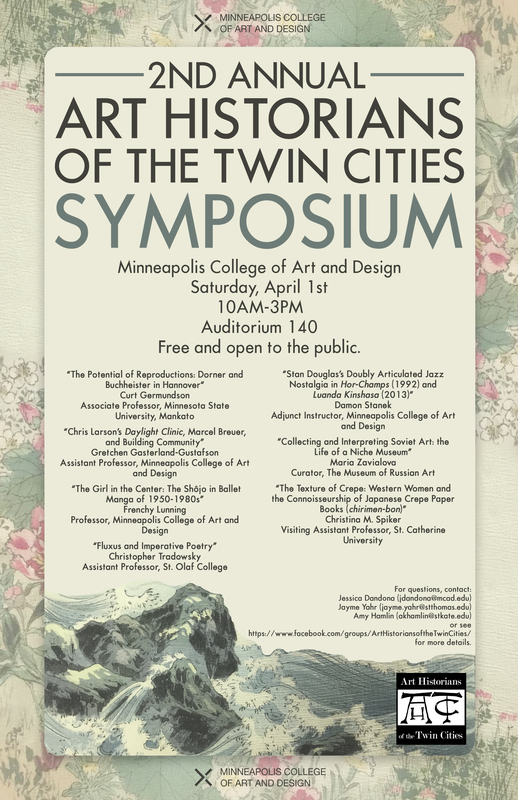 Very happy to be presenting some brand new work on Saturday, April 1 at the Minneapolis College of Art and Design (MCAD) for the 2nd Annual Art Historians of the Twin Cities Symposium from 10am-3pm. The Art and Art History Department at St. Kate’s is a co-sponsor of this event that showcases the current research of local and regional scholars of art history. This will be my second time presenting in the company of these amazing scholars. The event is free and open to the public, so if you are local it might be a fun way to see what art historians in the greater metro area are doing. I’m slightly biased, but totally looking forward to a presentation by my former office mate from St. Olaf College, Christopher Tradowsky. Students currently taking my course on Global Japan: Art, Anime, and Visual Culture should take note of the presentation by Frenchy Lunning. I was so excited that the student designer at MCAD used some of my archival photographs of The Smiling Book for the symposium poster. Some readers might recall me writing about this discovery on this blog a few months ago. 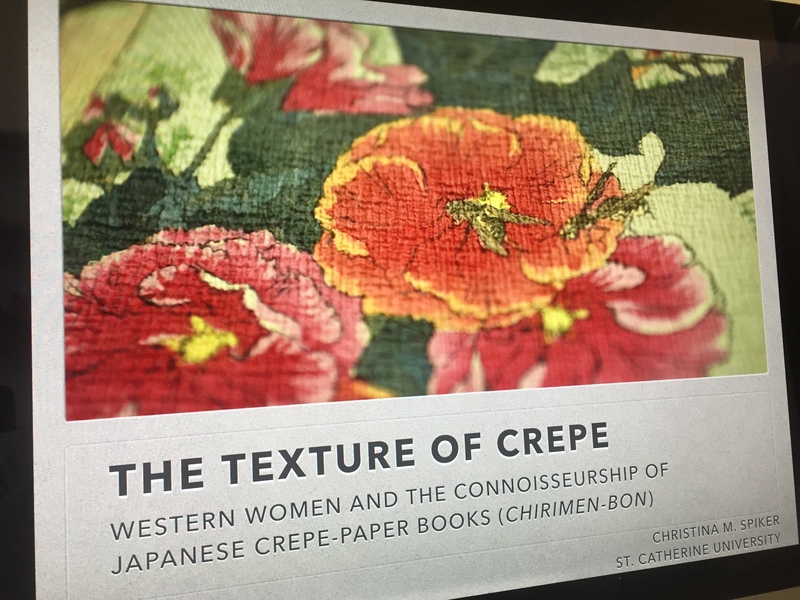 My presentation titled “The Texture of Crepe: Western Women and the Conoisseurship of Japanese Crepe Paper Books (chirimen–bon)” will be a meditation on the value of digging locally and the medium of crepe paper in Japan as it pertains to the role of Western women in collecting and connoisseurship. This work is very new to me, and the first project in a while that doesn’t deal with race and representation in Japan. However, it does stick with the timeline of my dissertation (late 19th century). So the symposium has ended. I still have a few hours to enjoy the snow outside in Lansing, Michigan and the amenities of this hotel room before I fly back to Minnesota. There was a lot to like about the Global Digital Humanities Symposium at Michigan State University (#msuglobaldh), and I was able to meet a lot of interesting people doing digital humanities work in a variety of disciplines (many of whom will now populate my twitter feed). But let me recount some of my personal takeaways. 1. Good things can happen when you intentionally include indigenous and global voices. In the same room. And more than one. 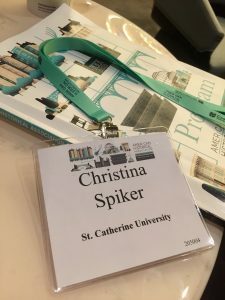 In my experience, many conferences and symposia that I attend dedicated to a large topic, like “digital humanities,” tend to mostly focus on Euro-American projects and perspectives. If racism is brought up, it is about racism in America. If feminism is brought up, it is specifically a white, American feminist experience that rises to the forefront. In my own experience presenting, although I am not Ainu or Japanese, if I speak about indigenous Ainu historical representation in Japan, it always has to be framed and situated in this Euro-American context to be legible. 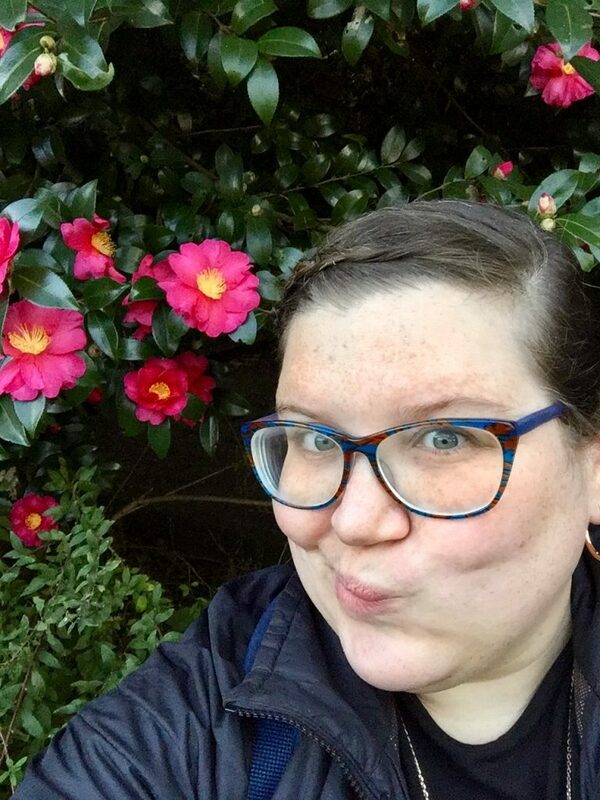 I’m forced to repeatedly explain (a) who the Ainu are, (b) how they fit into Japan, (c) issues of indigenous representation broadly, and (d) why I am interested as a white female scholar and what my relationship is to that community (in addition to the ethical implications of this visual work). All of these things are important to address, but instead of feeling like an outlier or novelty project, it was nice to be taken seriously and be situated amongst projects asking similar questions about race, representation, visibility, and erasure. I was really interested in Rebecca Wingo‘s presentation, “Archival Repatriation: Reuniting the Crows with their Ancestors,” as there are facets of the work she is doing that reminds me of the work of Miyatake Kimio with regard to the Ainu and reintroducing lost photographs and objects from the St. Louis Exposition to their living descendants, and I learned that Rocio Quispe-Agnoli’s work has a lot of research questions in common with mine from a Latin American perspective. 2. Data is political and connected to the lives of real people, and we need to be mindful about how we mine it, cite it, represent it. We also need to consider how we ultimately label the work that we do. I think we all leave this symposium feeling a little more vigilant about these issues. Andrea Ledesma‘s paper “Witnessing Hate: Case Studies in Data, Documentation, and Social Justice,” asked us to consider what is means to bear witness to hate and then the implications and challenges of representing marginal identities when data becomes a statistic. Today, Viola Lasmana examined what a digital humanities that was engaged with freedom, revolution, and social justice might look like through the lens of post-1965 Indonesia. She channeled Edward Said on amateurism, and asks us to be critical of the term “global digital humanities” when there are many small, local projects that are not considered part of that corpus. To use a turn of phrase used by Anelise H. Shrout in her presentation about Irish immigrants and institutions like Bellevue, data needs to be humanized or we risk perpetuating archival violence. Real people are complicated. In the quest for clear or representable data, we can’t forget those border spaces that resist easy categorization and are thus rendered invisible. 3. The role or partnerships and collaboration in the digital humanities. This question was forcefully raised by Jennifer Hart‘s presentation “Accra Wala: mapping roads, mapping history, mapping partnerships,” where she spoke about building bridges between communities in Ghana and America. But from involving indigenous developers when designing games that represent the indigenous community, as raised by Elizabeth LaPensée, to considering institutional partners when working between one’s own project and the state to our student workers who assist in data collection and interpretation, collaborators take on many forms. The presentations over these past two days remind us that we rarely do our work alone. I totally underestimated the challenges of attending a conference while getting over a nasty cold, but I’m so glad that I made it here in one piece (even though I had lost my voice for my own presentation… C’est la vie). However, lots to mull over as I move forward with my own work in this area. Time flies not when you are having fun, but when midterm season is approaching! In light of exam craziness, I’m quite excited to be giving a lightning paper next week at the Global Digital Humanities Symposium at Michigan State University. While I have been pretty involved in digital humanities since I was a graduate student, I don’t often get a chance to come together with people across disciplines who incorporate these kinds of methodologies into their research and pedagogy. The techie in me is jazzed to learning about new tools or new applications of tools that I already use. 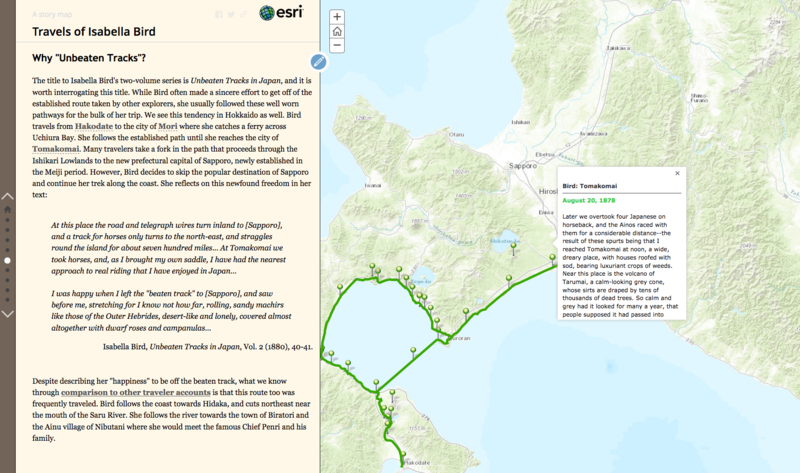 The paper is titled “Mapping the Northern Frontier: Geo-Spatial Visualization and the Exploration of Indigenous Culture in Japan.” In a nutshell, I will be talking about how the mapping tool ArcGIS can be used to compare the routes taken by travelers in Hokkaido during the Meiji period (1868-1912) to learn new information about the Ainu villages that became tourist staples later in Hokkaido’s history. However, I think this approach has vast implications for art history. 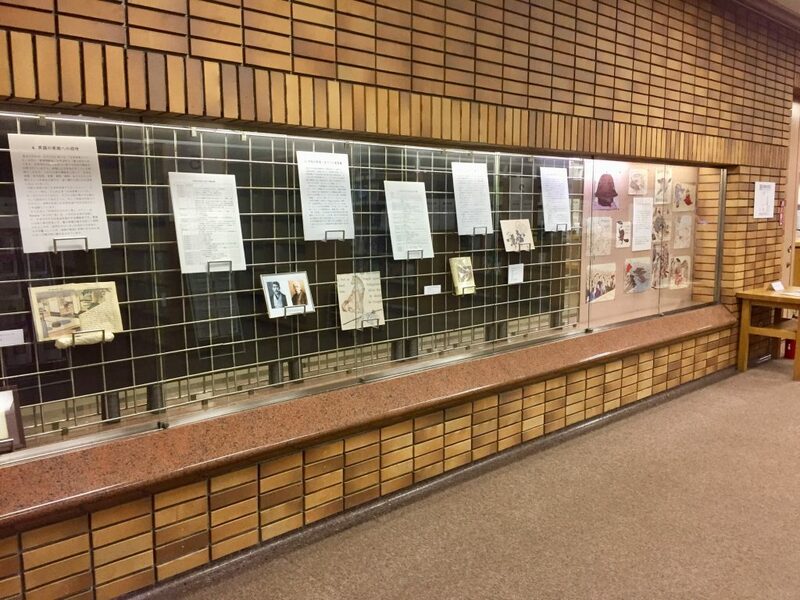 Ainu visual artifacts are scattered across US, European, and Japanese museums. In the future, I would like to layer the routes of prominent travelers/collectors/anthropologists with metadata about these visual objects and where they were found. 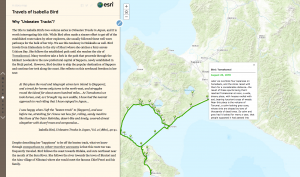 From the experimenting that I’ve been doing, I think it can paint a rich picture about how visual culture moves through geographic space and give valuable data about which Ainu villages and regions are over-represented in the history in a way that gets beyond mere anecdotal evidence. I am hopeful that such a tool will permit us to compare the narratives of travelers (some of whom highly exaggerated the uniqueness of their itineraries), and that it will give us a chance to compare regional styles and go beyond a “monolithic” understanding of Ainu culture during that time. In sum, it paints a more dynamic picture of the visual cultural landscape. If you are in Michigan and interested, the two-day symposium begins on March 16th at 11:30pm. My panel on mapping begins at 2:05pm.